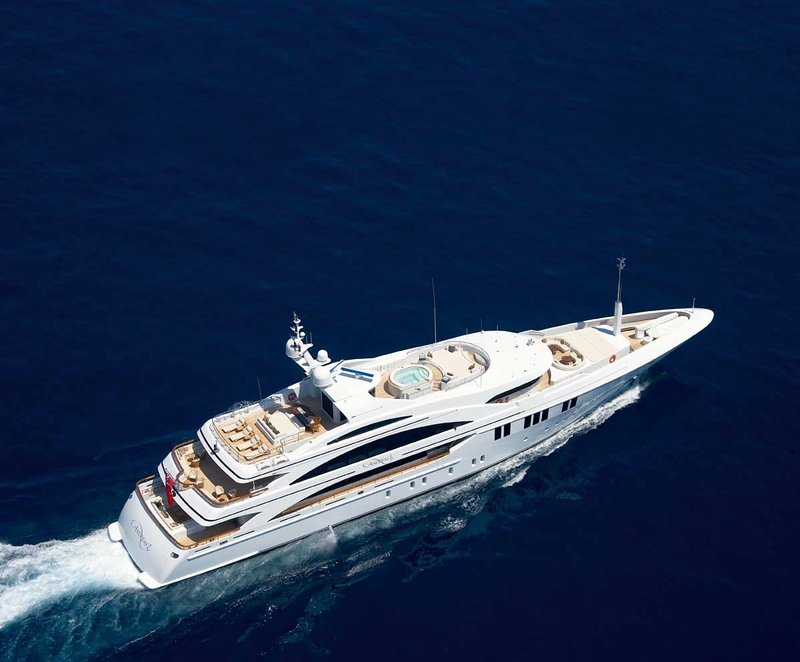 One of the significant yacht launches in 2008, M/Y ANDREAS L (ex AMNESIA) is a 60m (196 foot) Benetti luxury motor yacht with interior design work by Redman Whiteley Dixon (RWD). 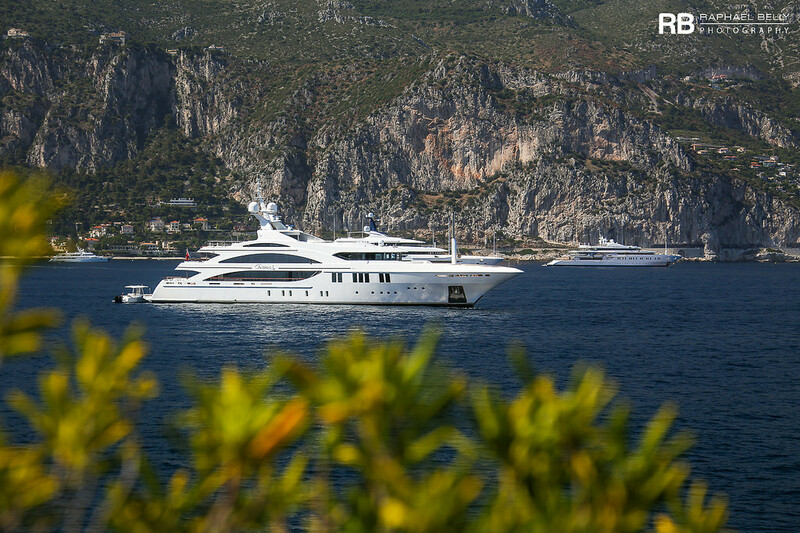 This Benetti large motor yacht boasts a beautiful contemporary design and styling and a huge volume (size) for her length. 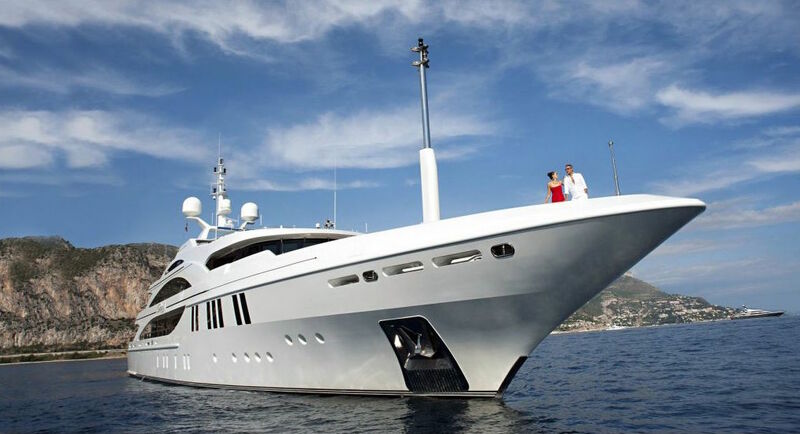 She is an impressive and head turning yacht which features beautiful contemporary styling together with well-designed expansive and functional spaces. 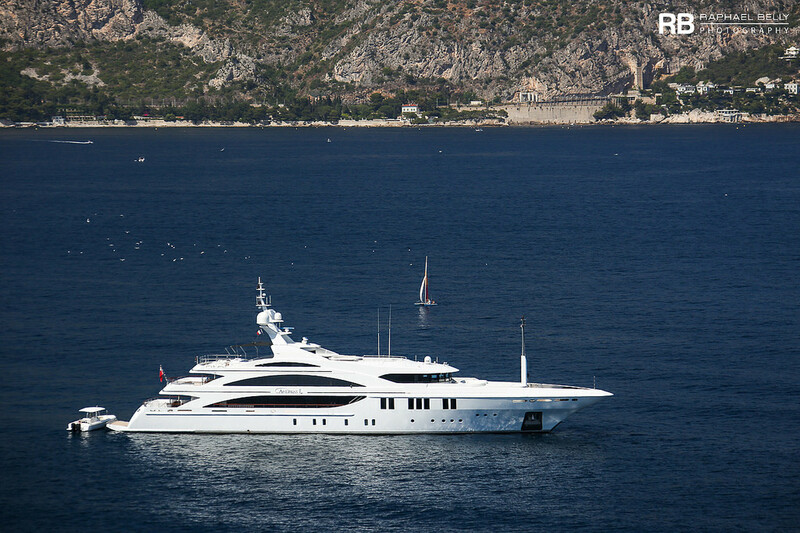 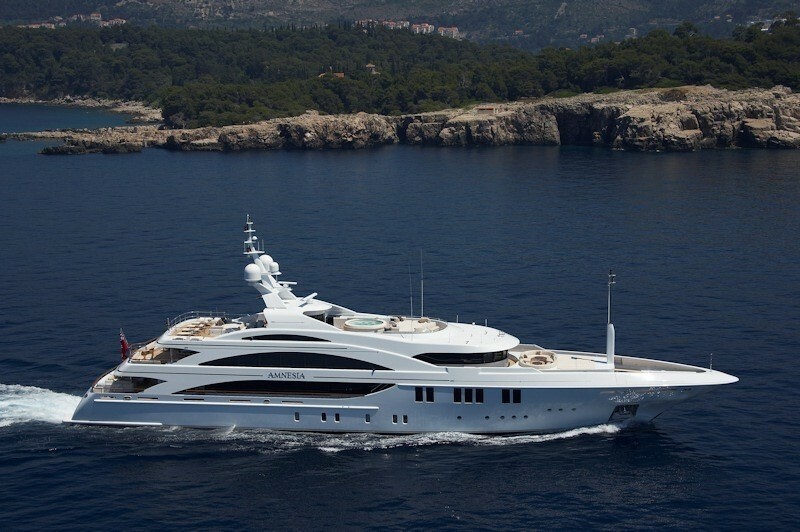 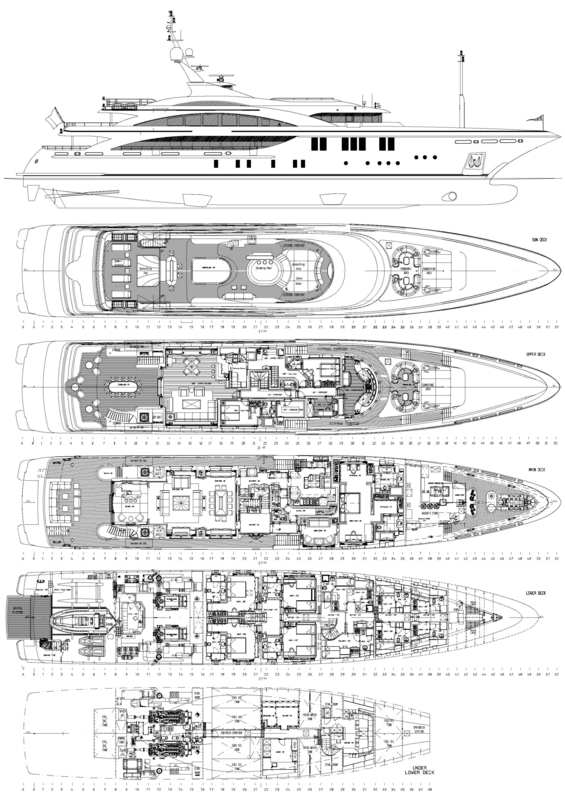 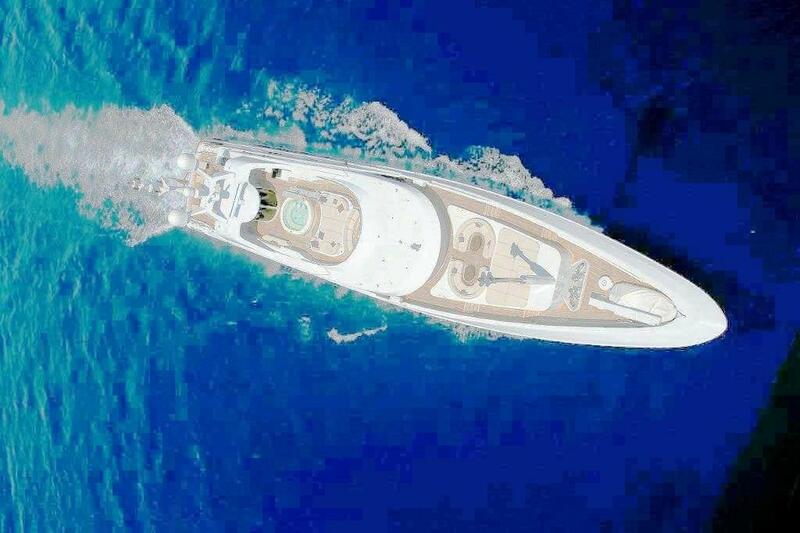 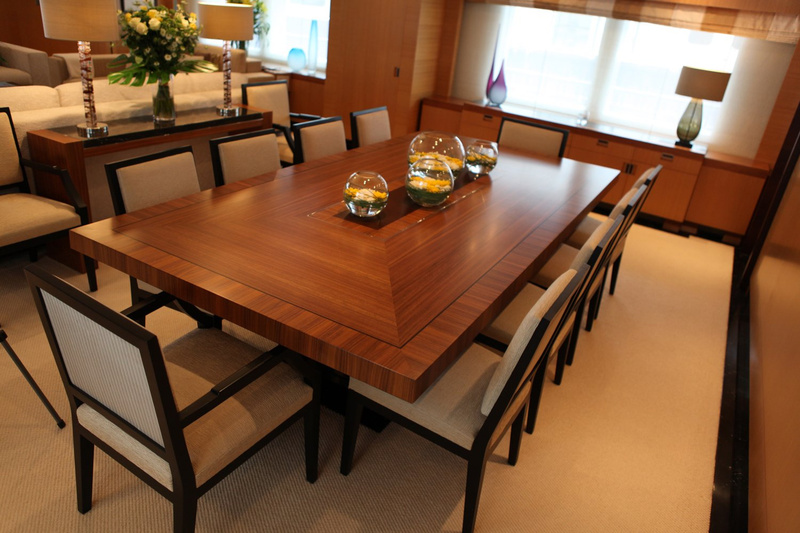 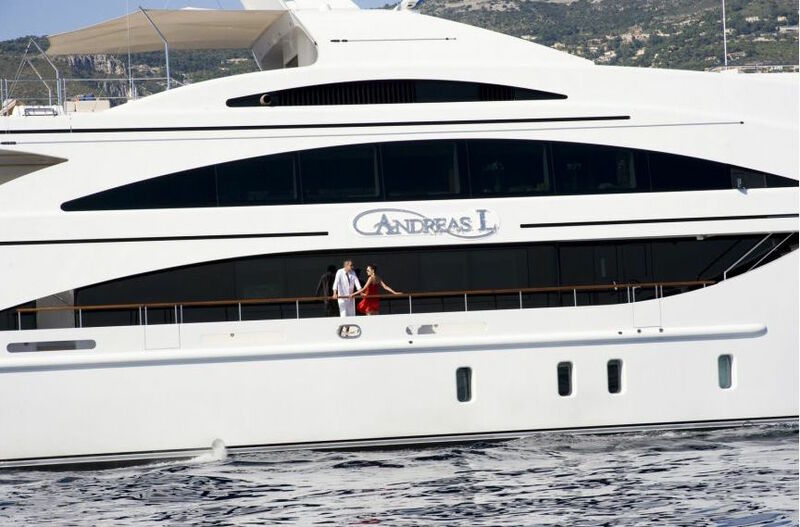 ANDREAS L (ex Amnesia) yacht provides everything one could expect from a recent European built and designed superyacht. 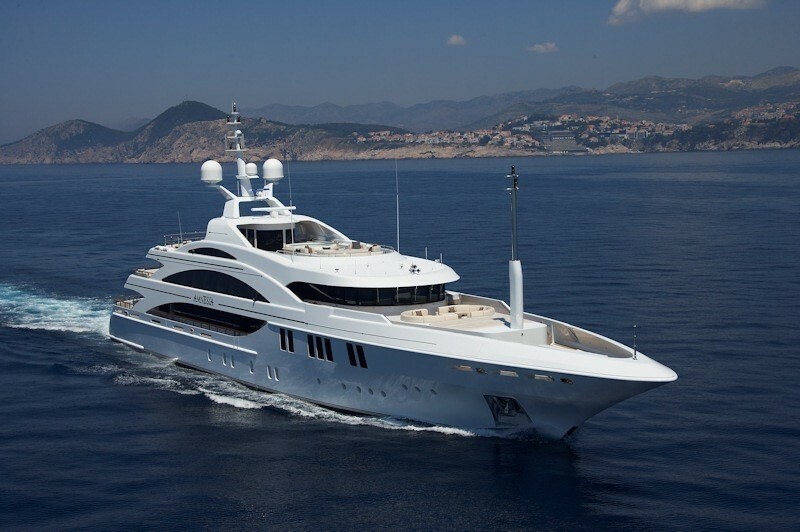 She has received a refit in 2015 which included mechanical alterations, paint job, and steel intervention. 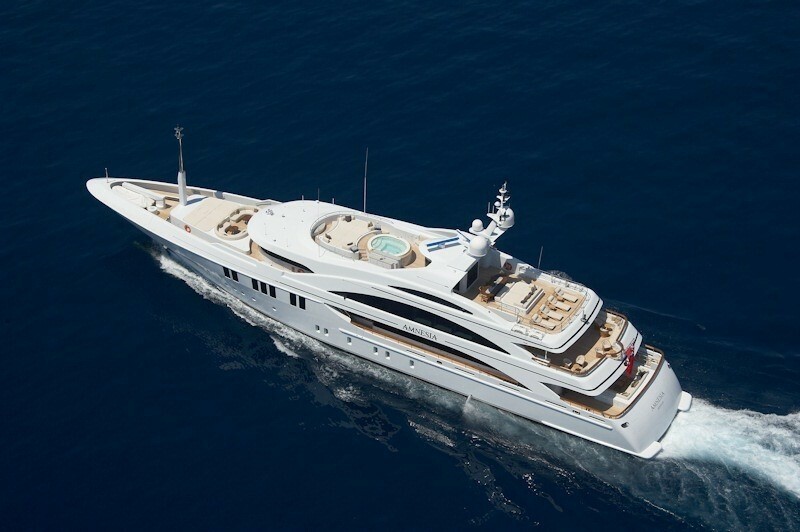 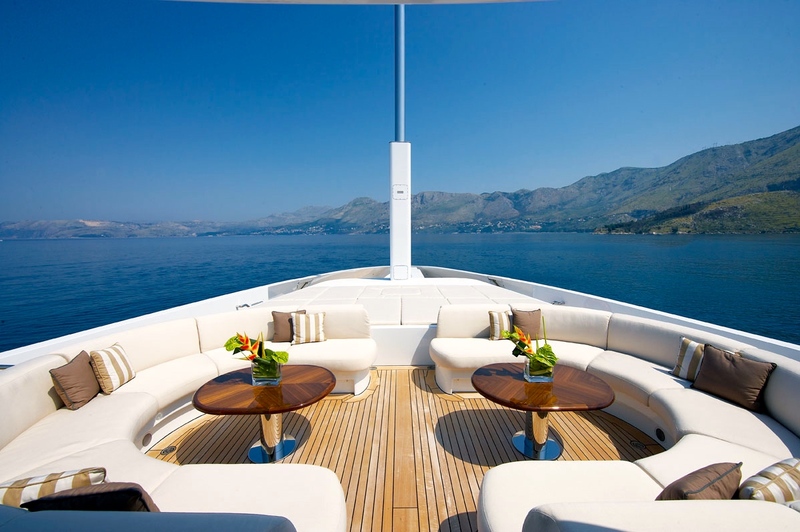 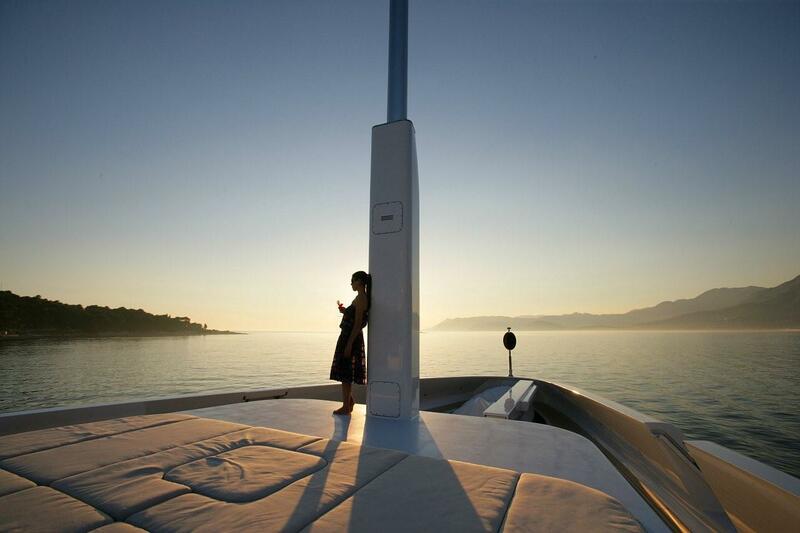 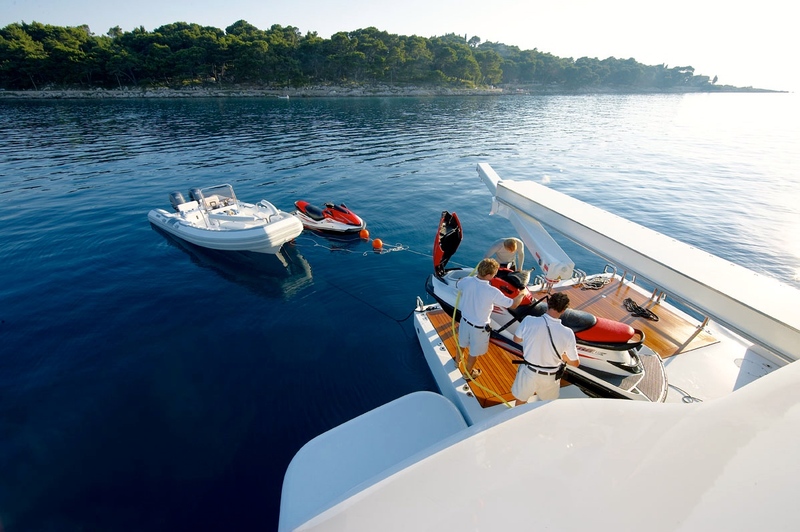 She is the third yacht in the very successful AMNESIA line of yachts. 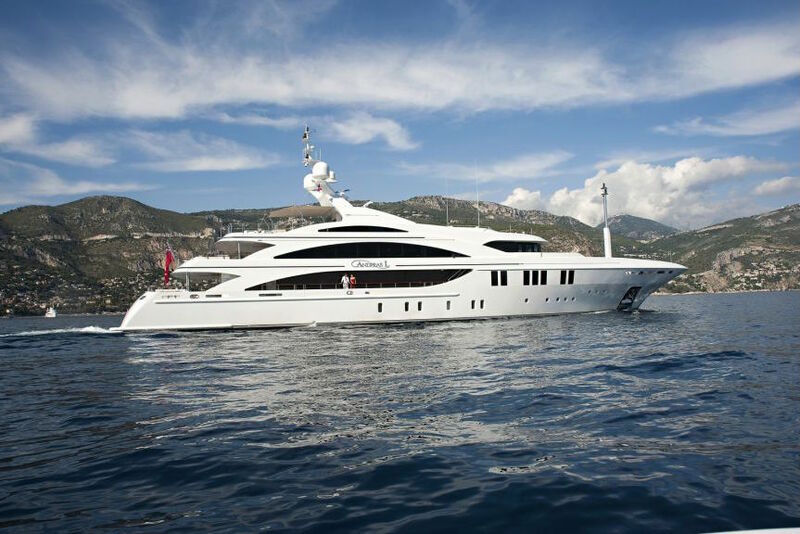 This luxury yacht is an evolution in design with both her interior and exterior having been beautifully conceived by the owner in conjunction with Redman Whiteley Dixon, and built by the renowned Benetti shipyard. 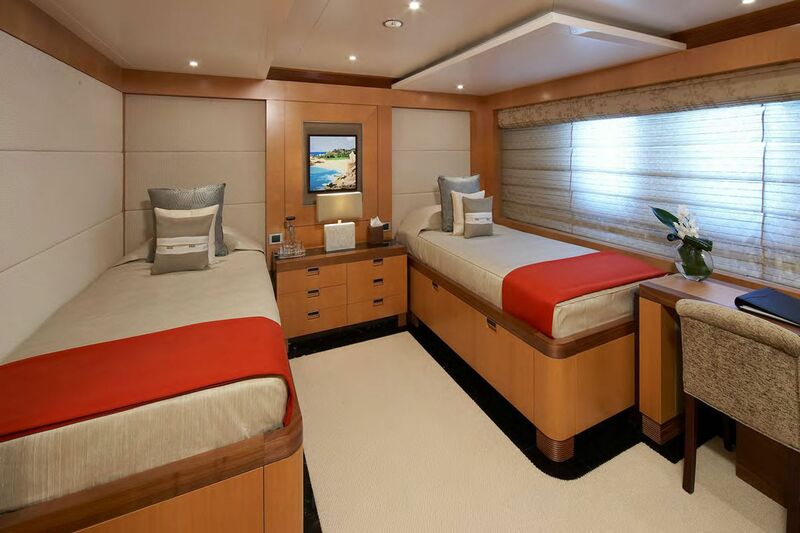 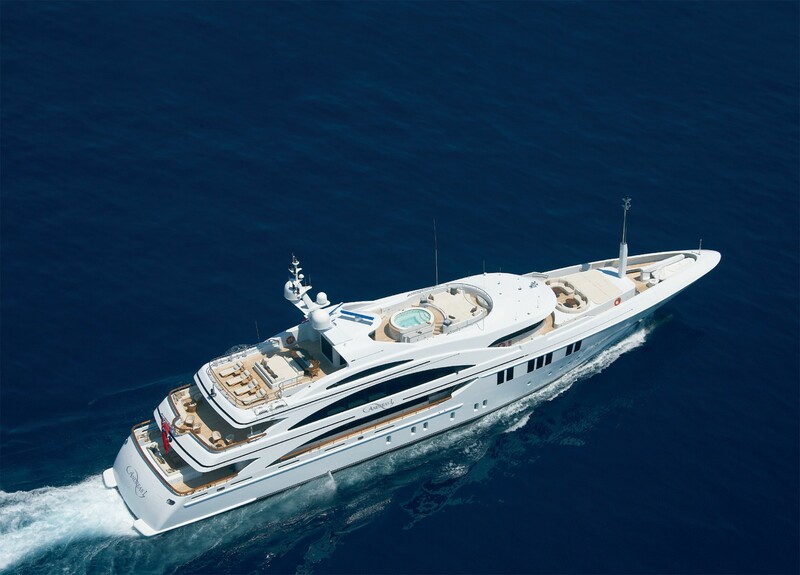 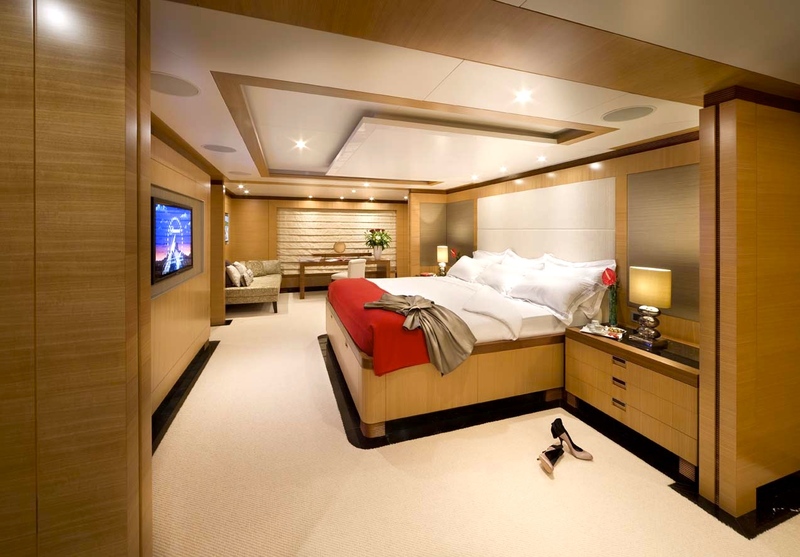 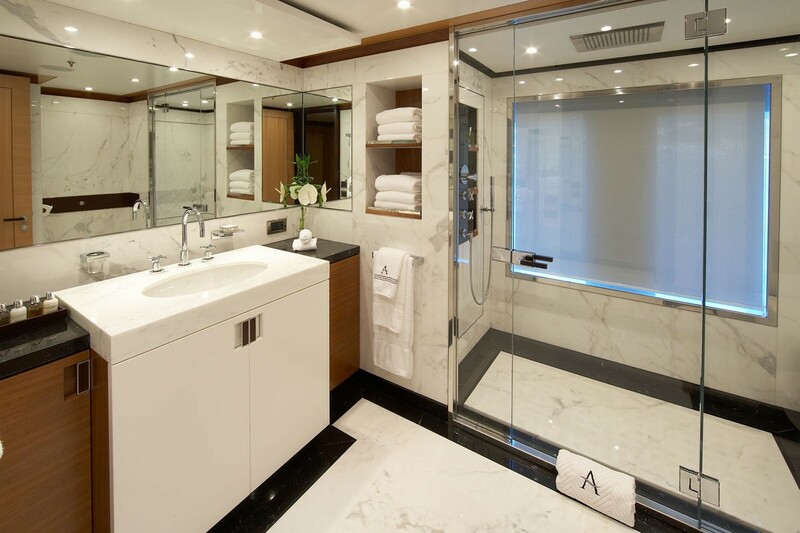 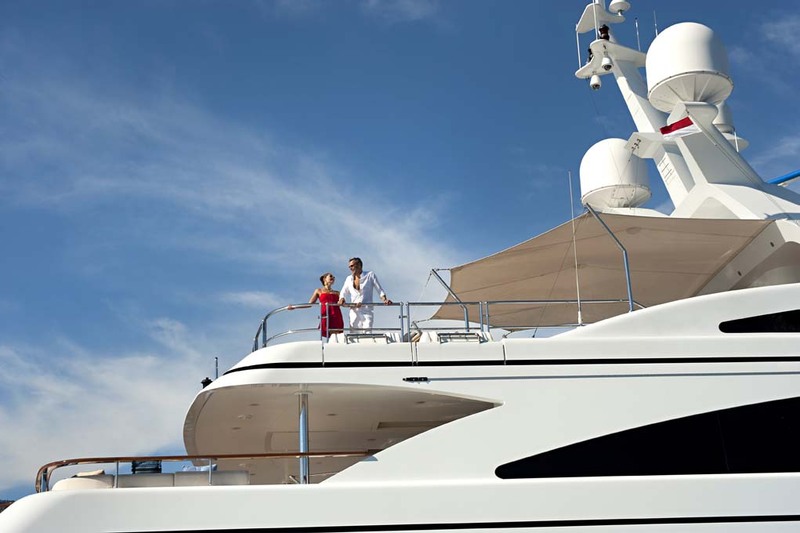 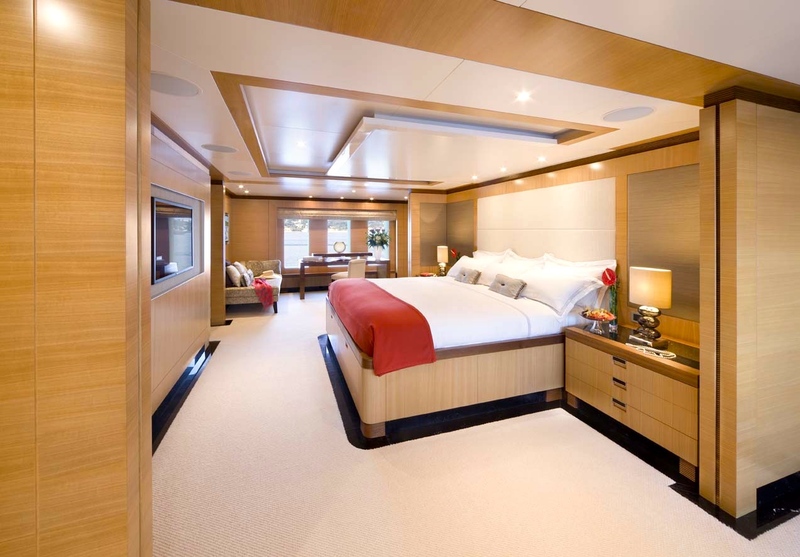 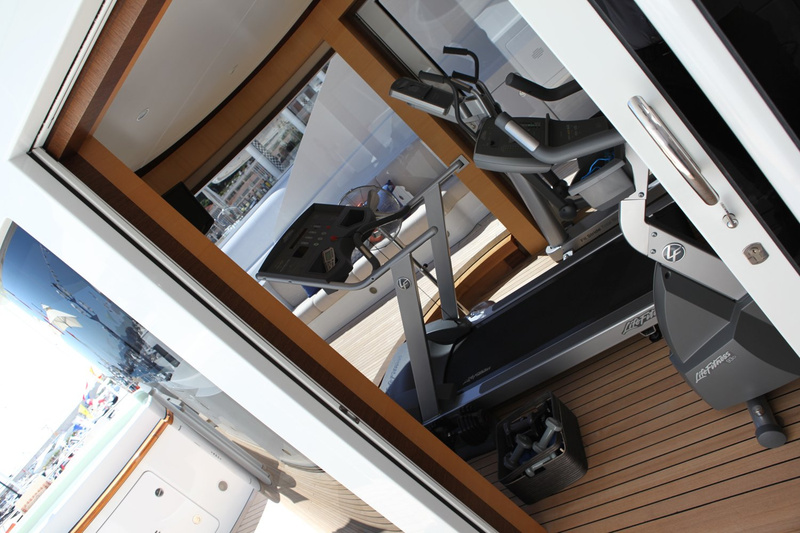 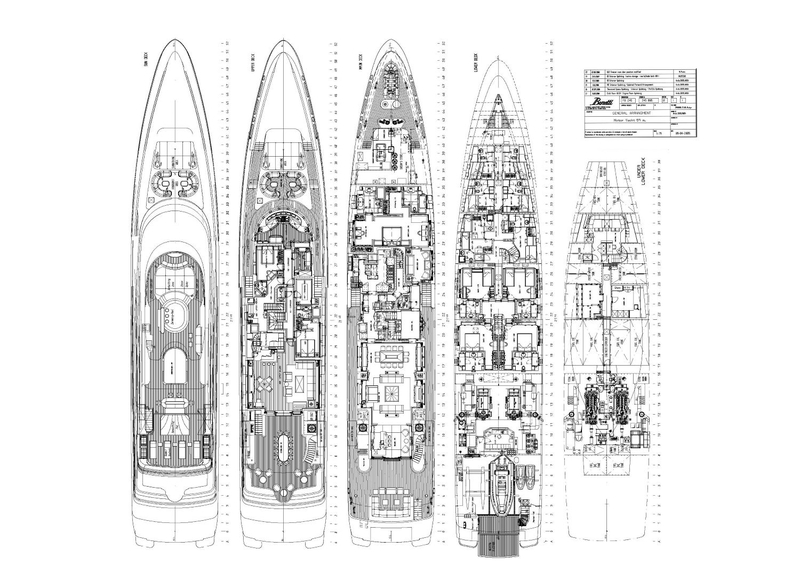 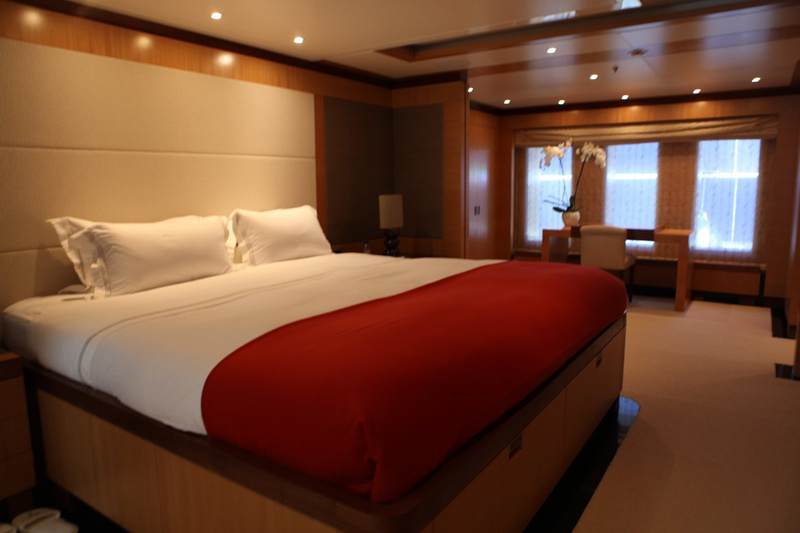 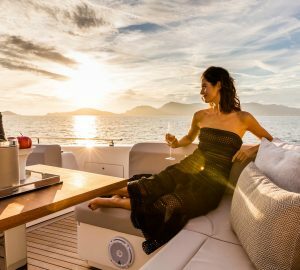 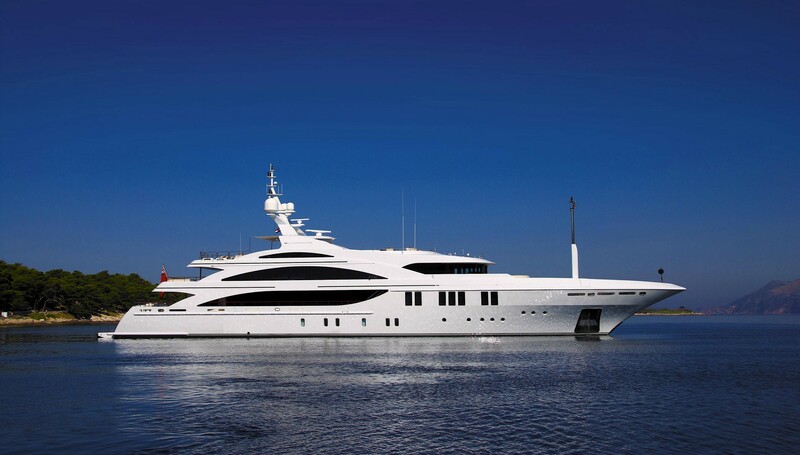 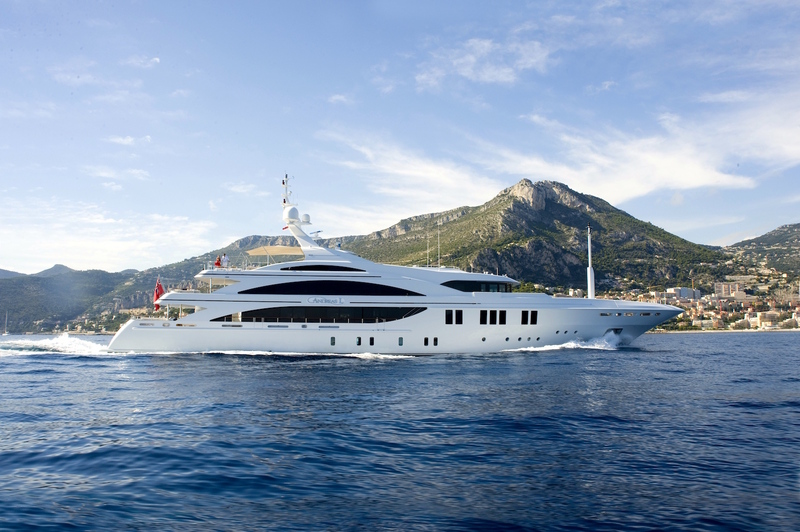 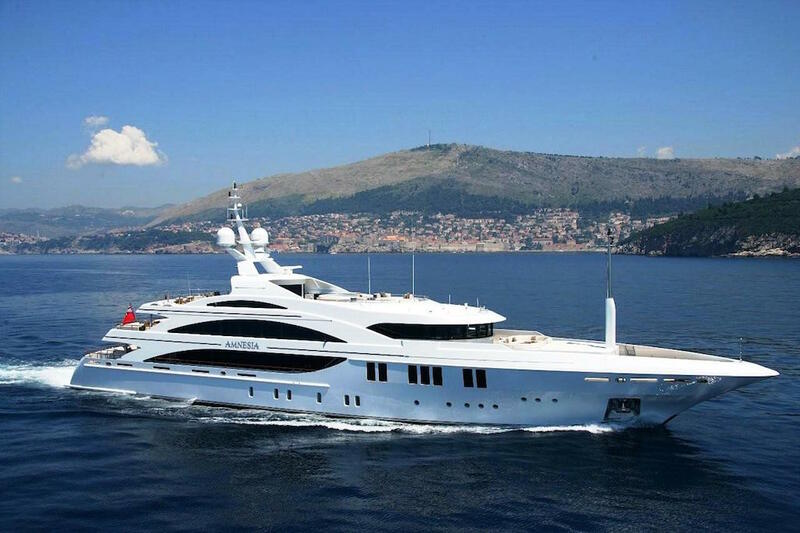 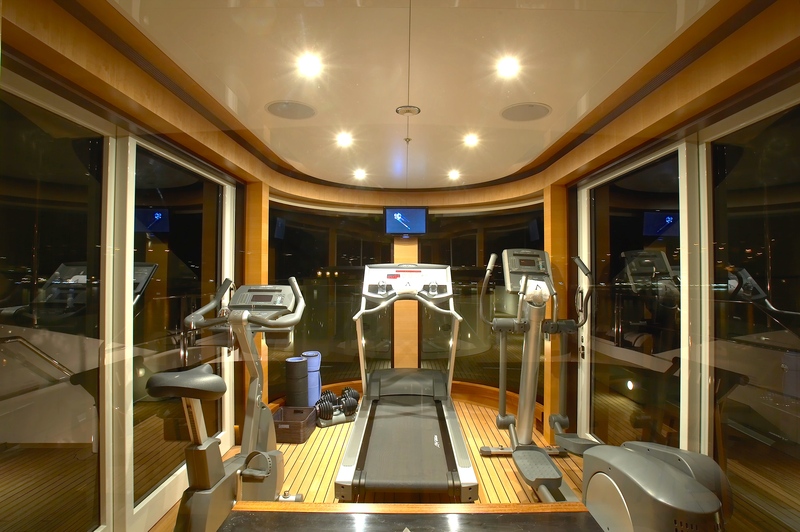 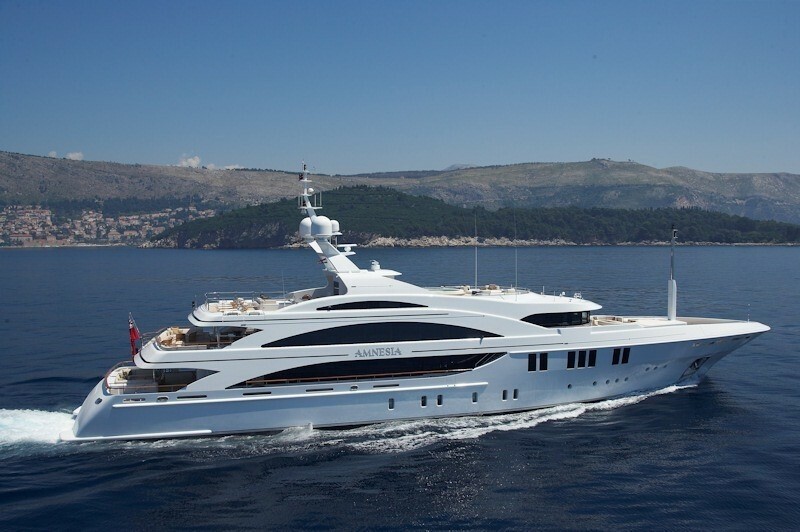 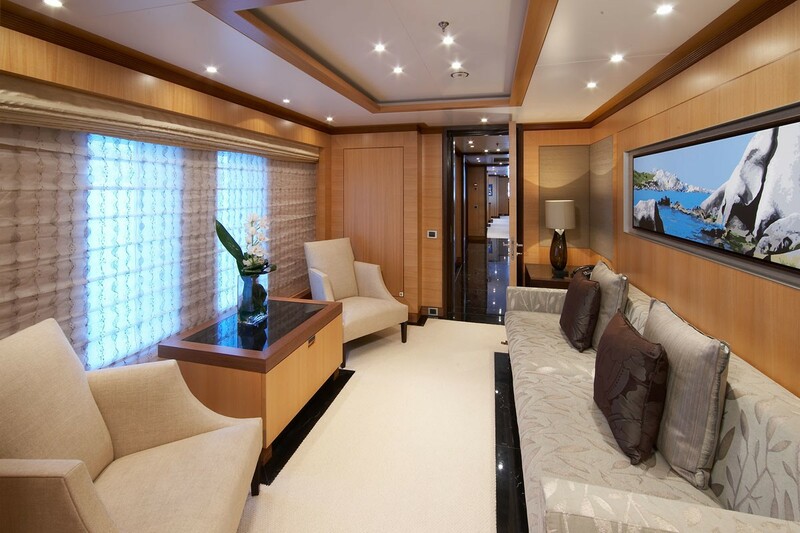 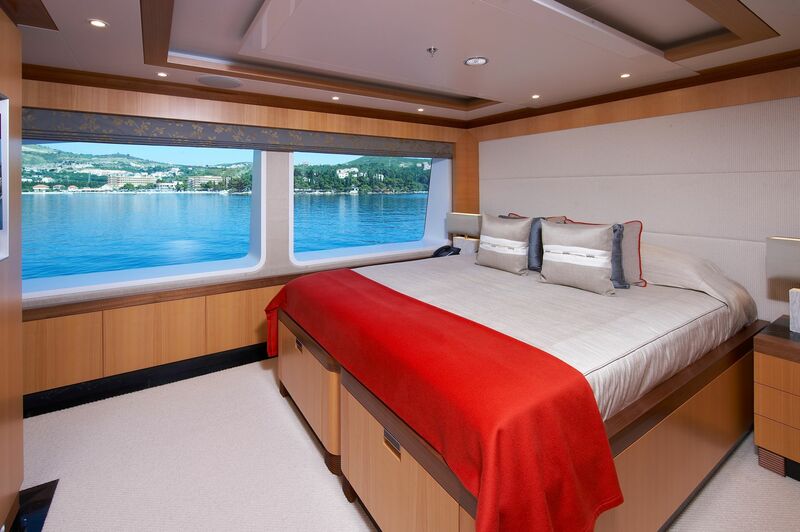 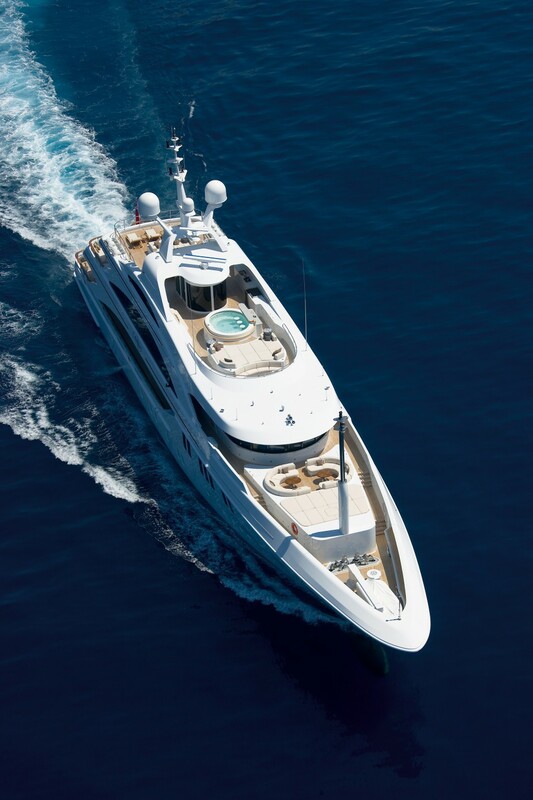 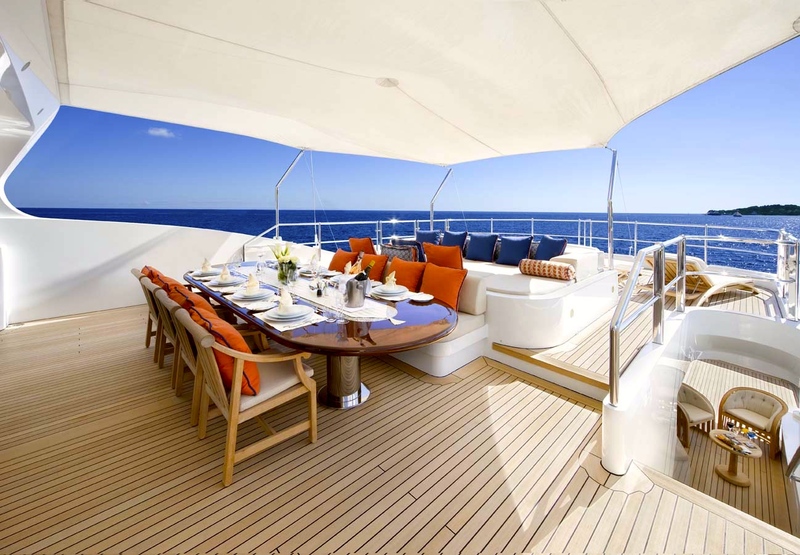 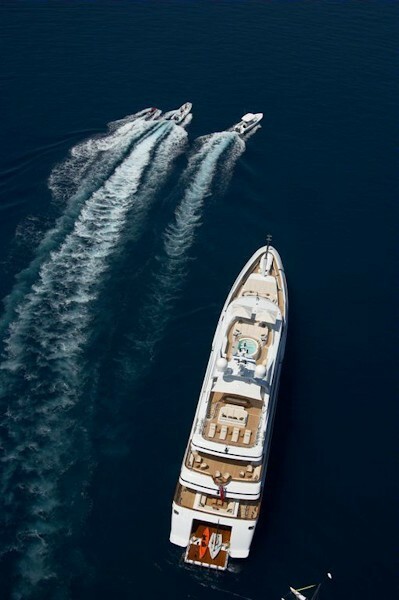 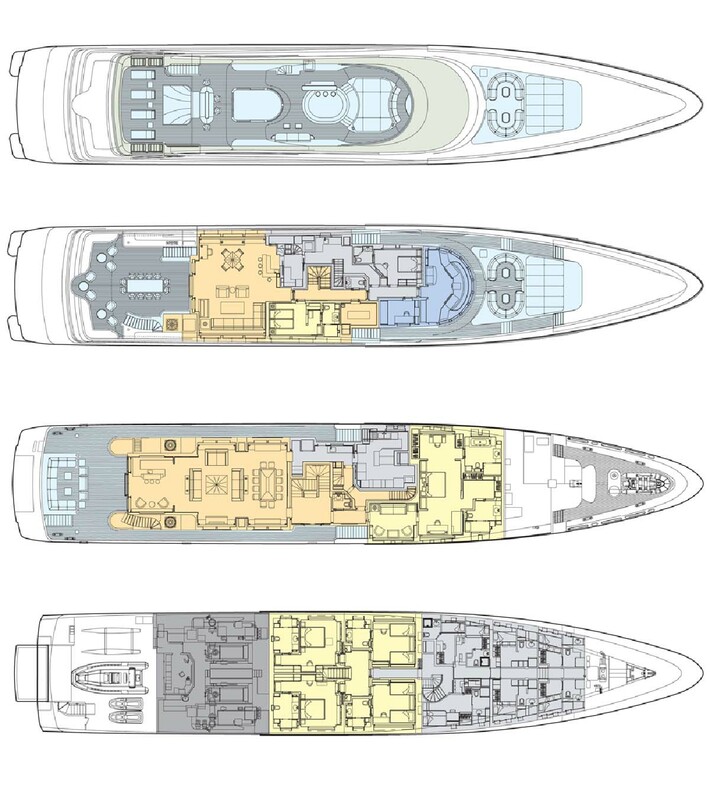 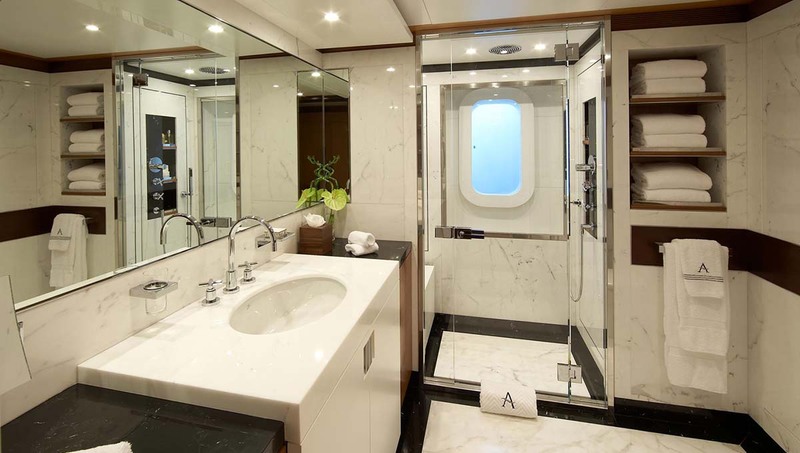 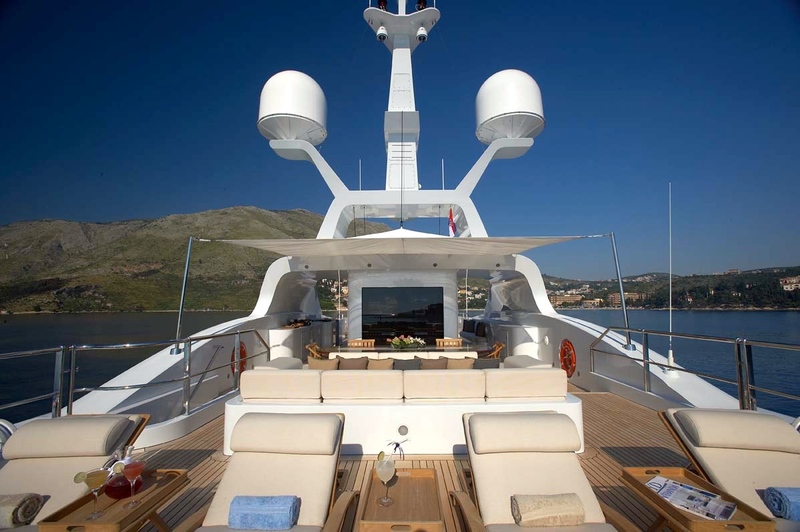 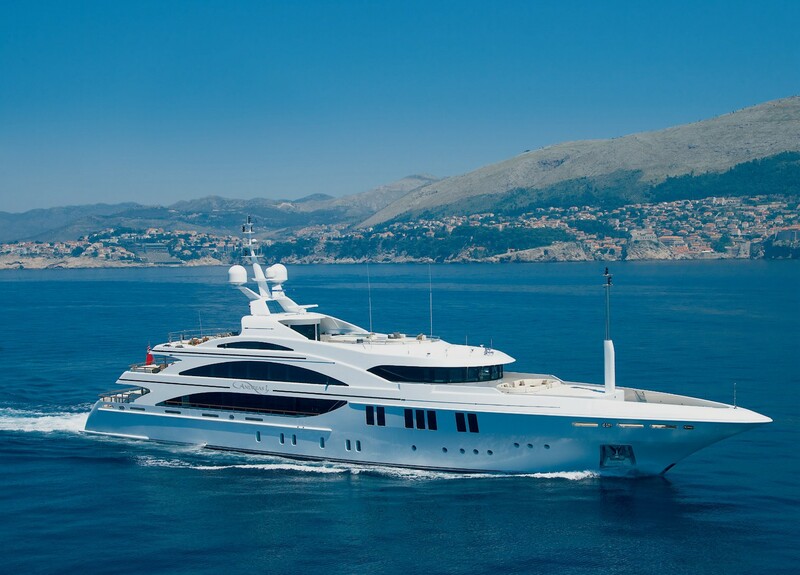 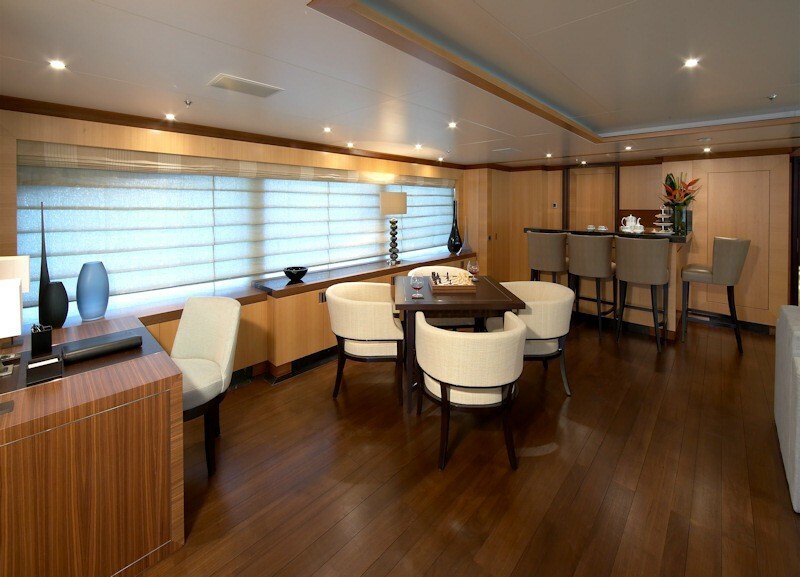 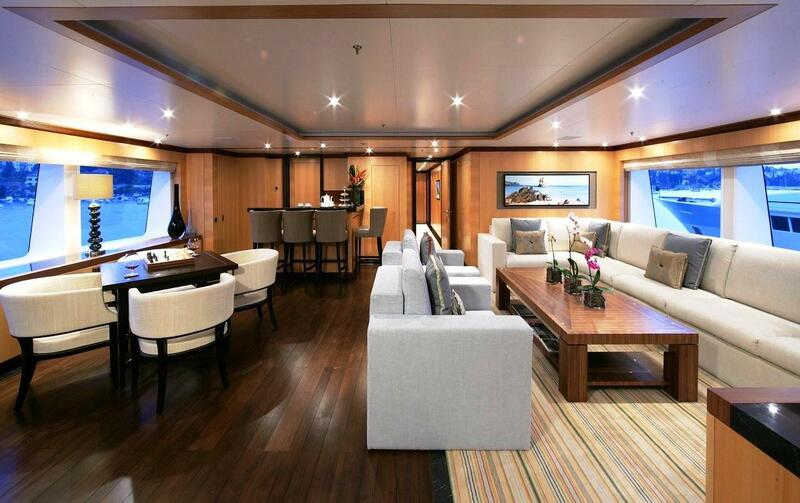 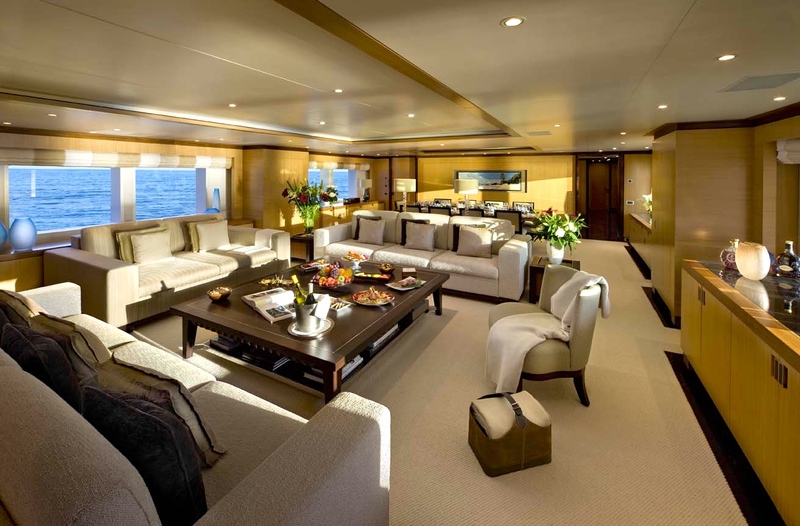 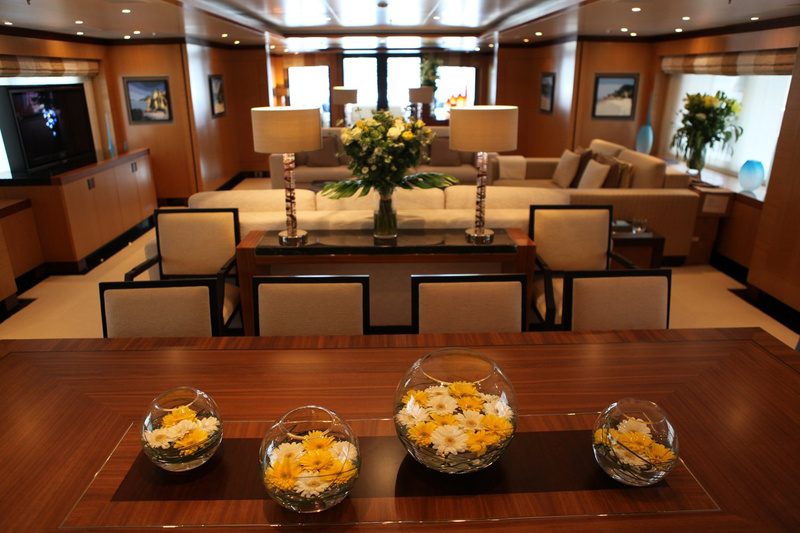 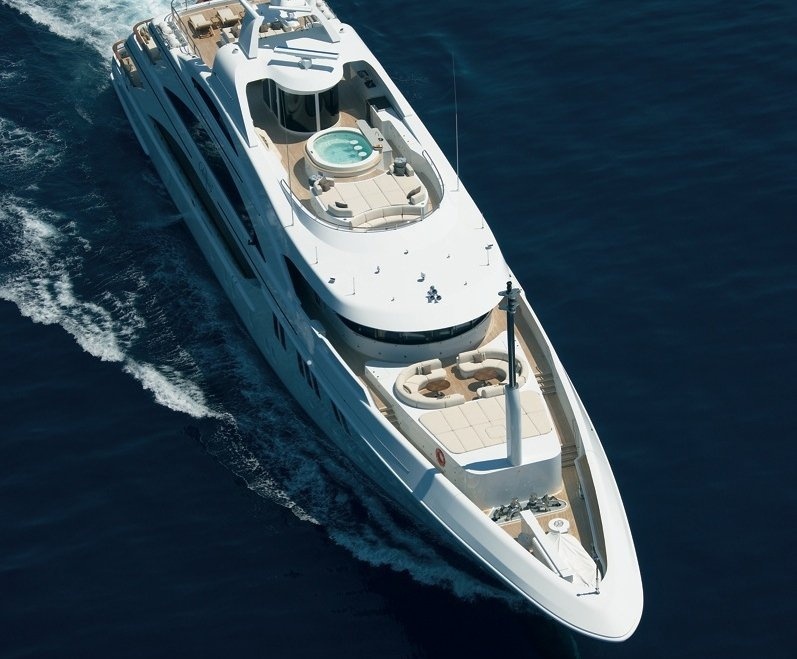 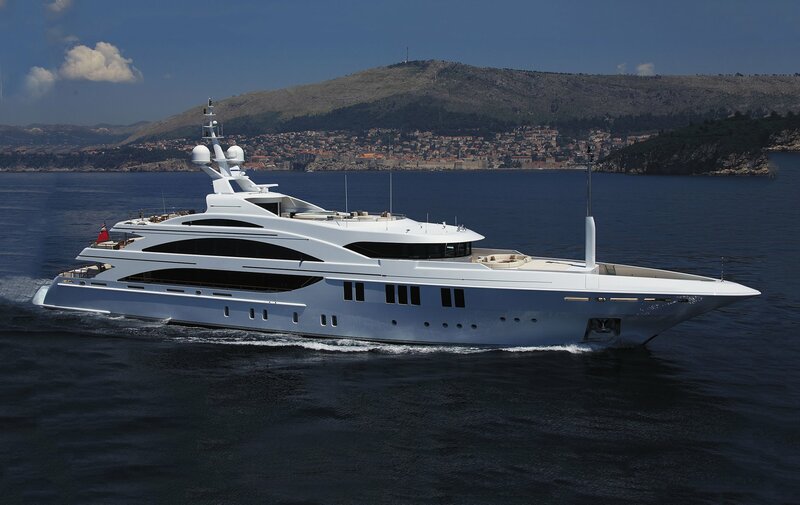 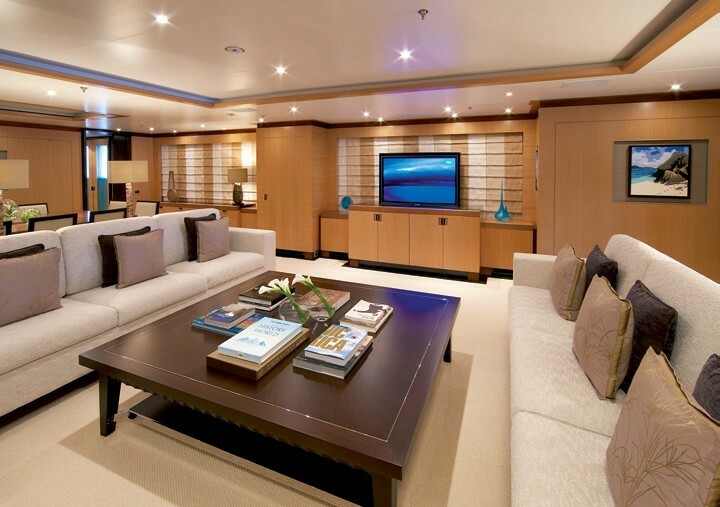 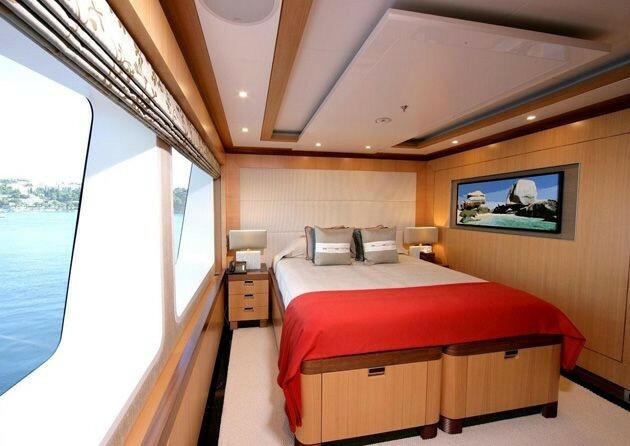 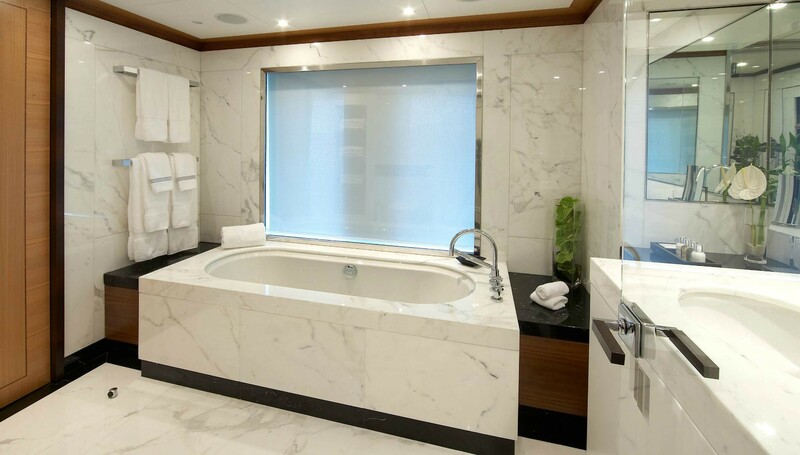 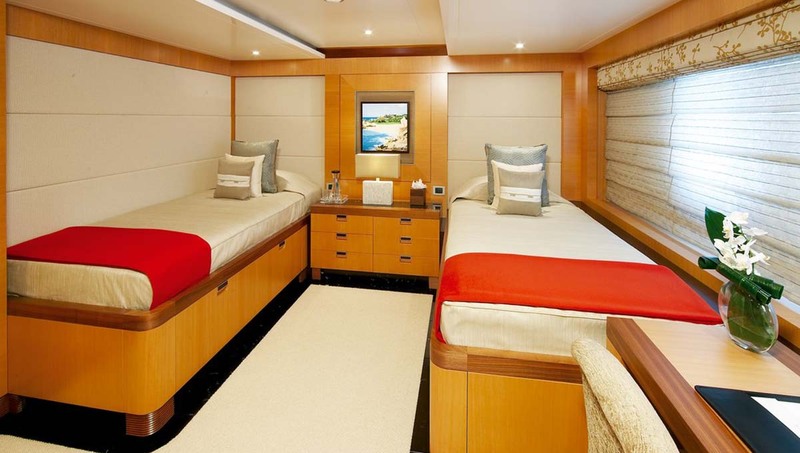 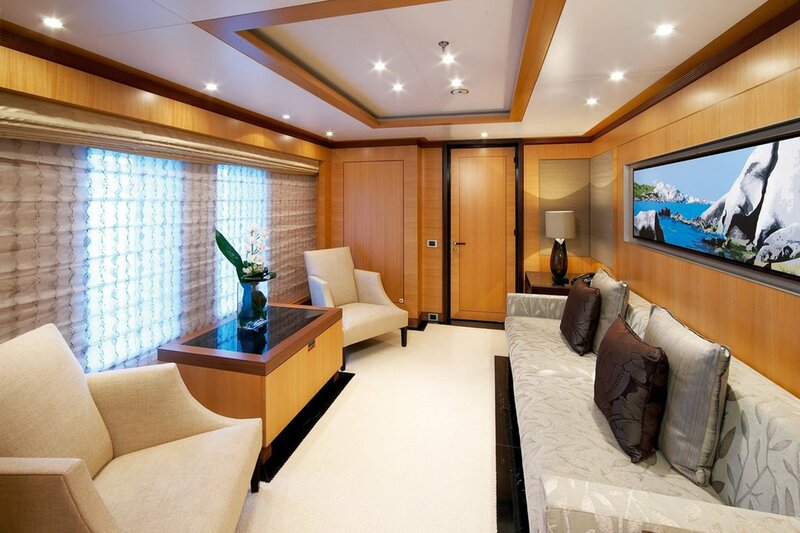 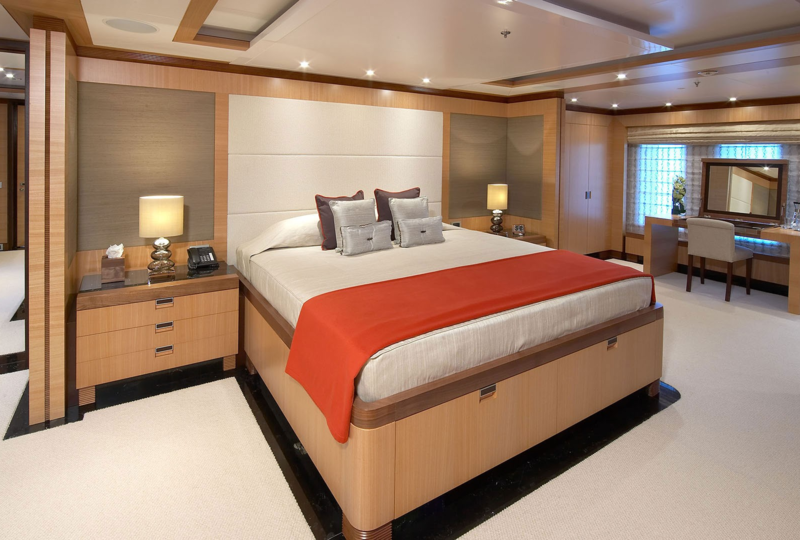 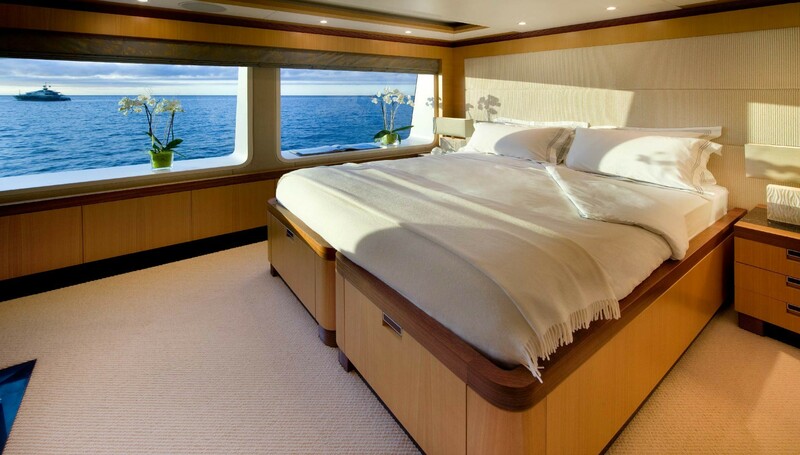 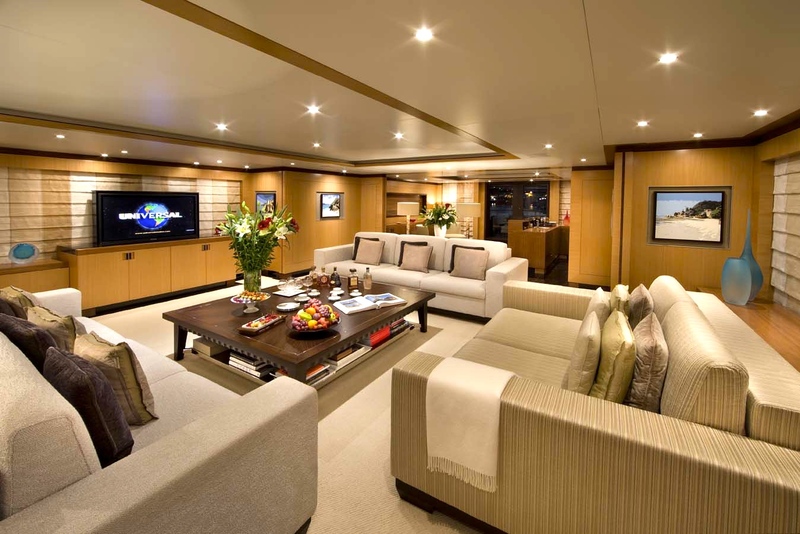 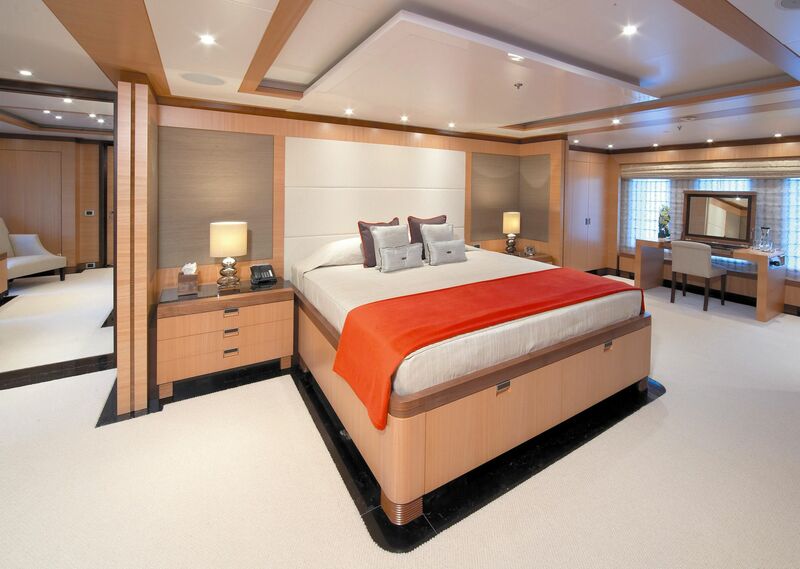 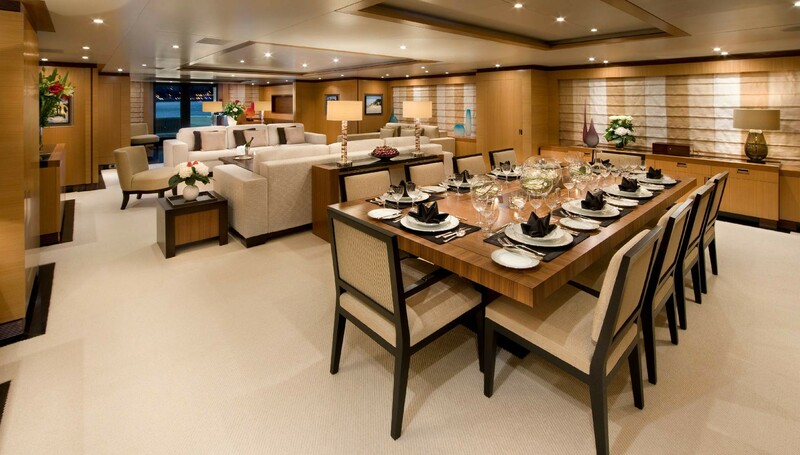 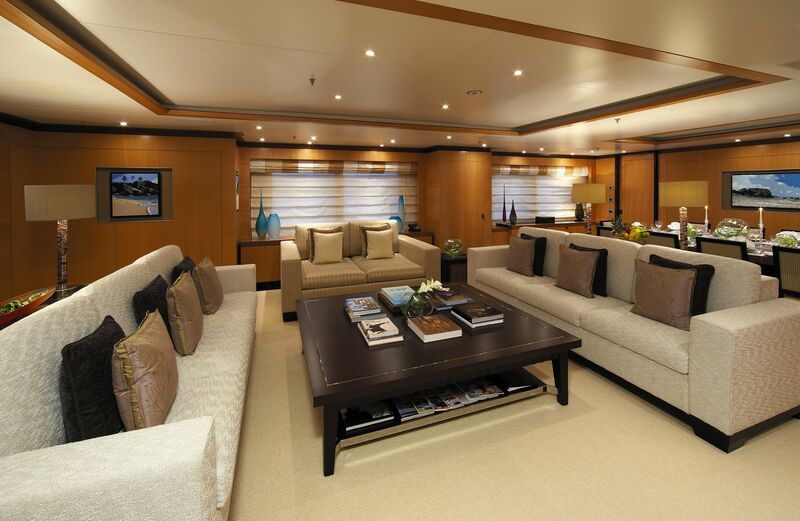 Some of her most noteworthy features include her modern and stylish interior design, the latest audio visual entertainment and communication, stabilization at anchor, gymnasium and a massage room. 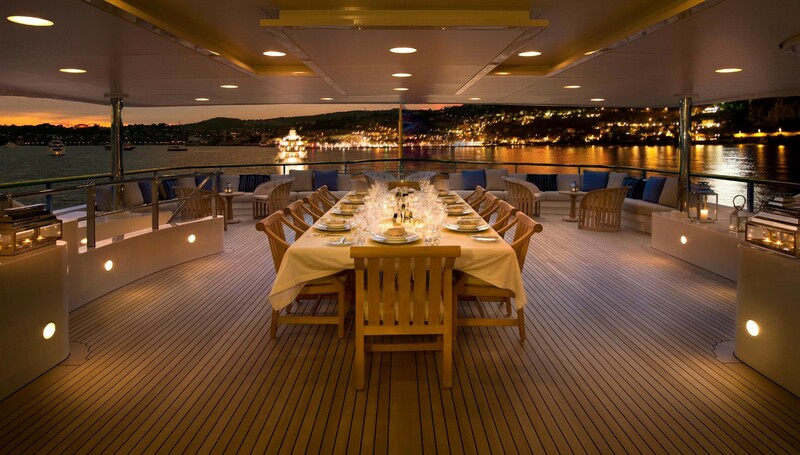 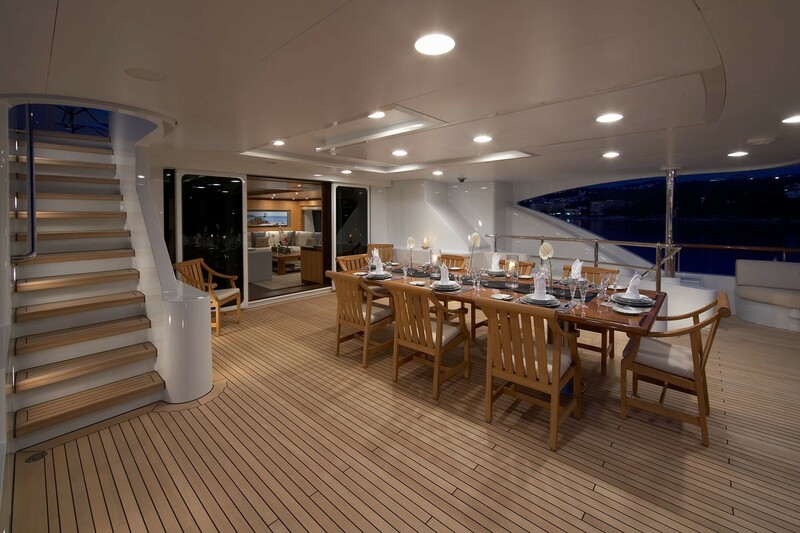 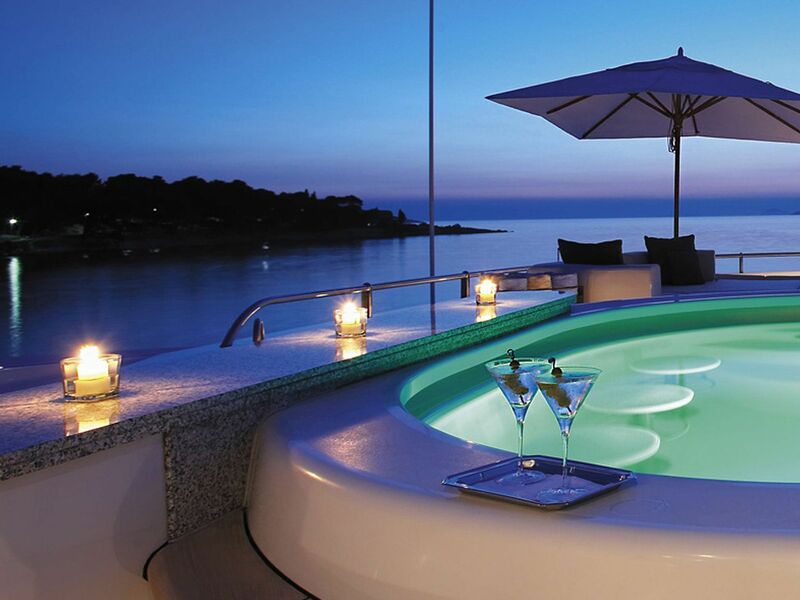 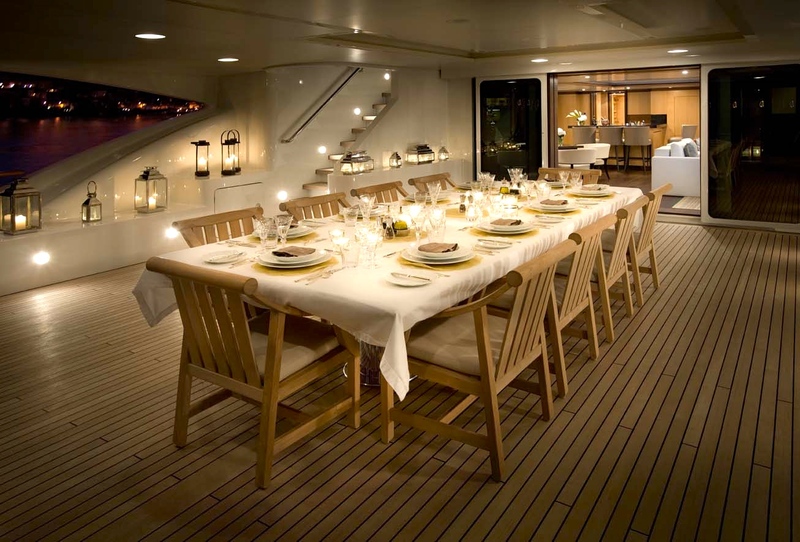 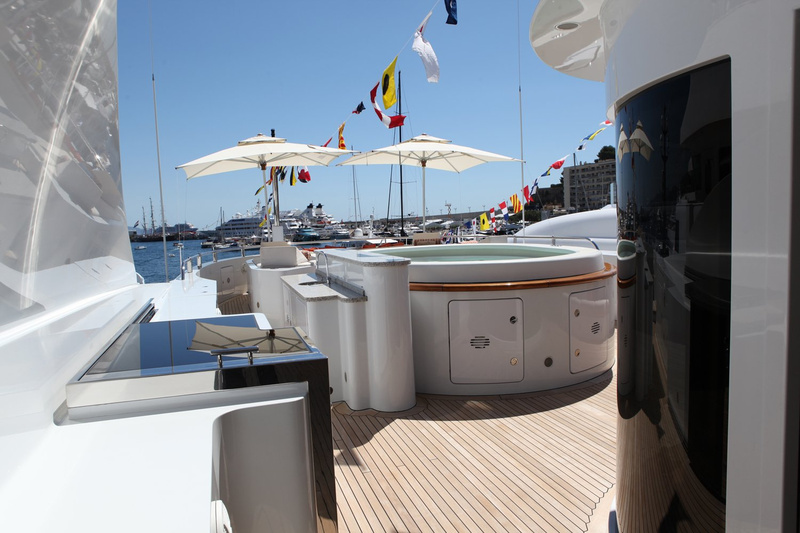 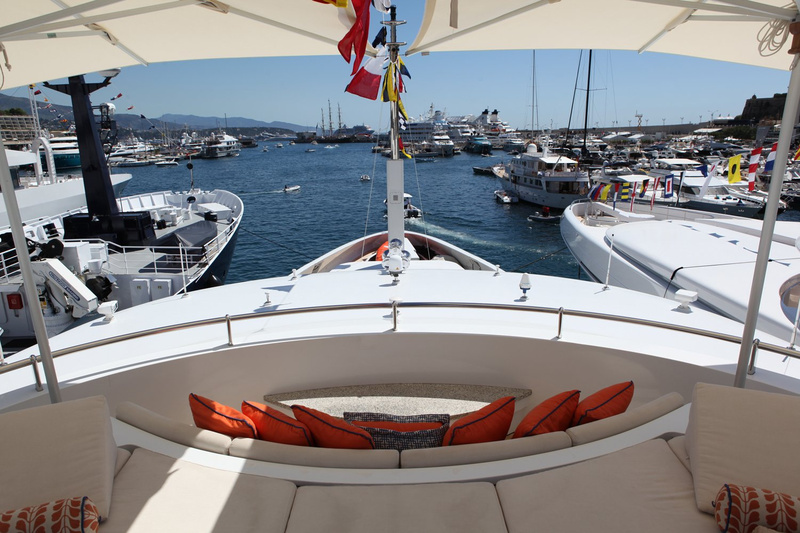 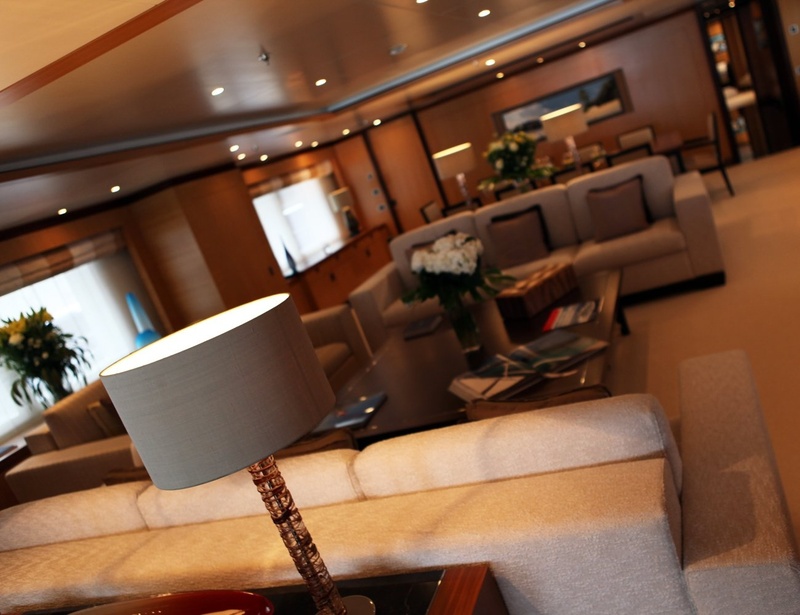 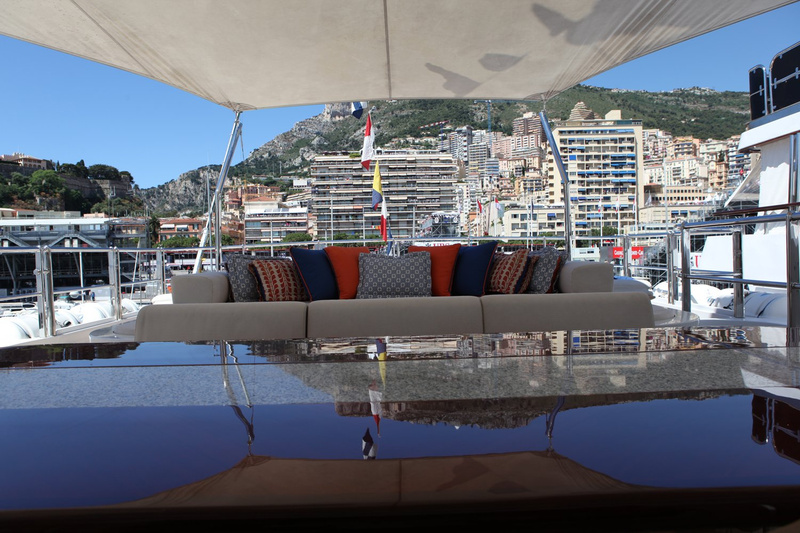 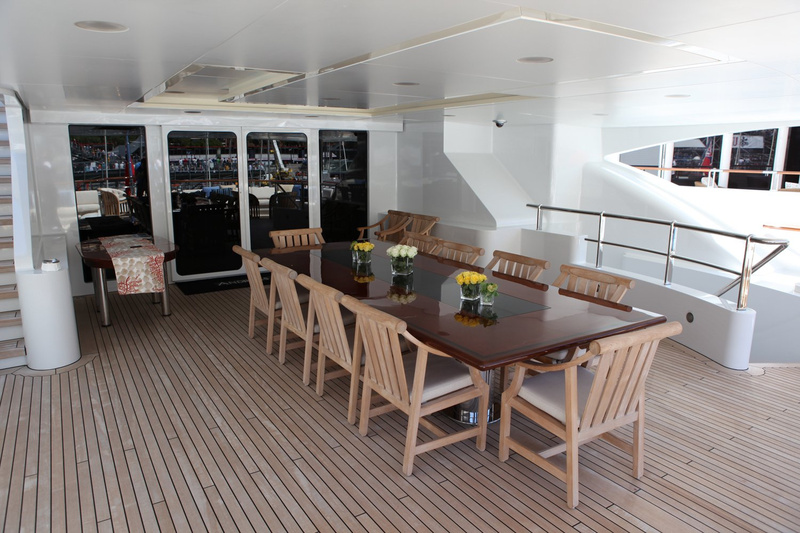 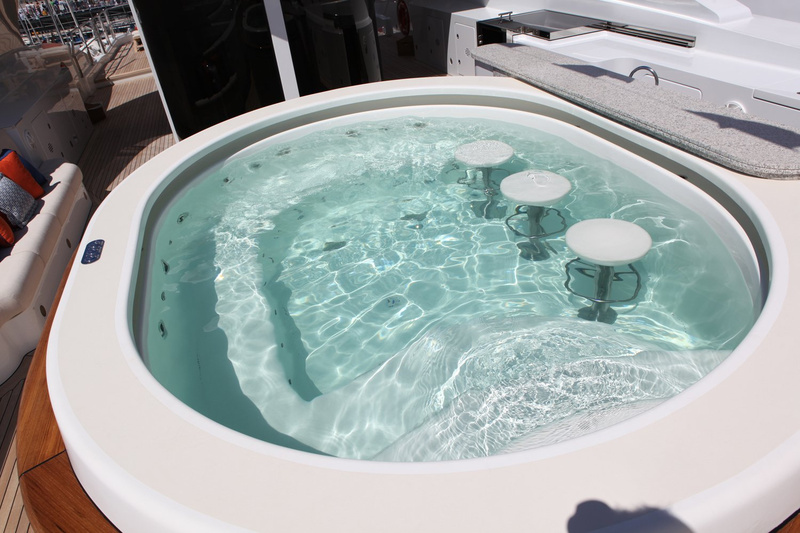 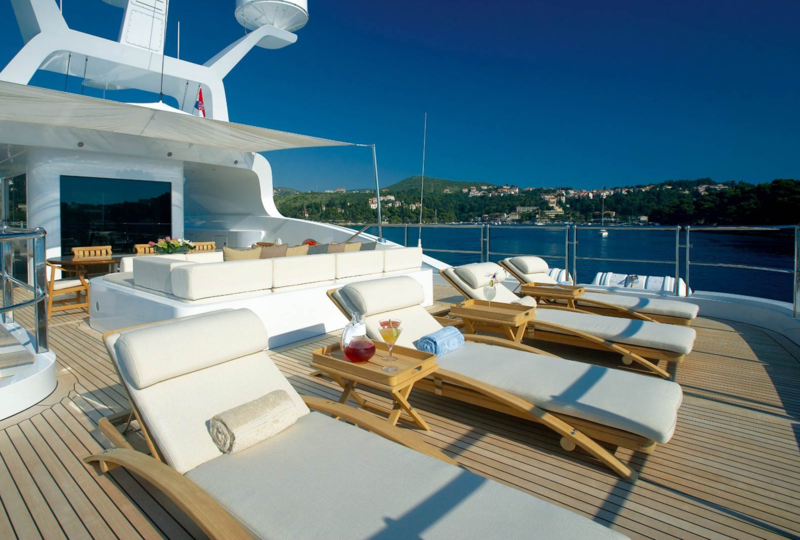 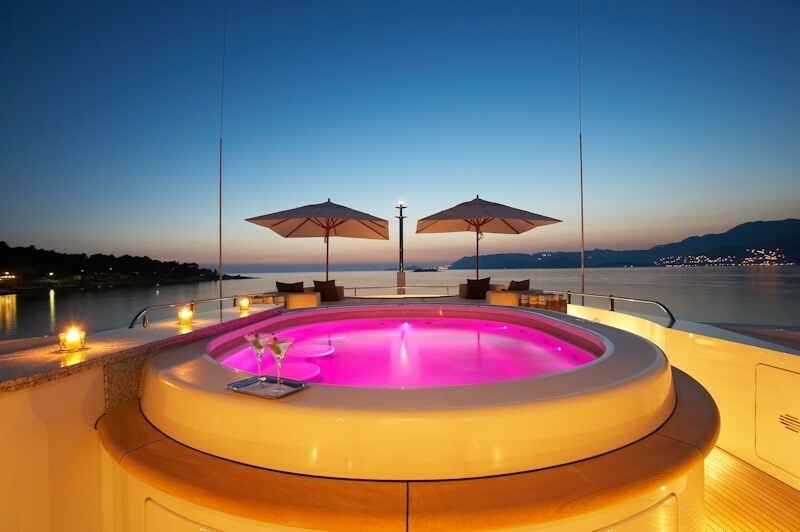 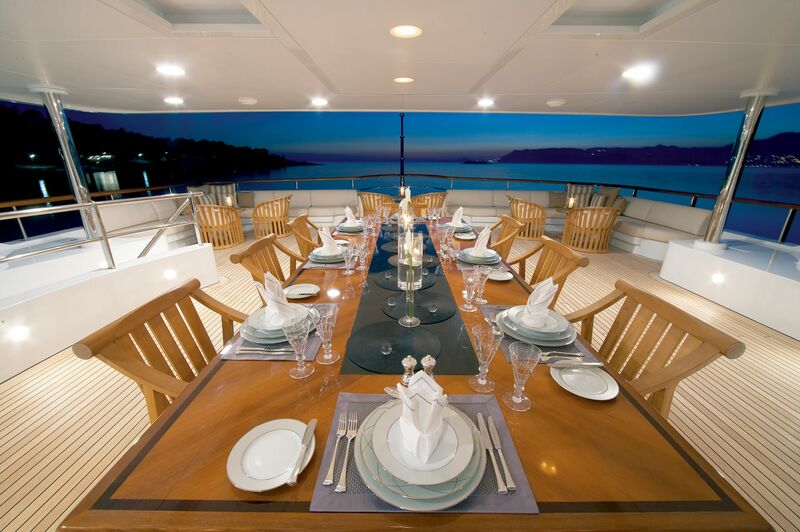 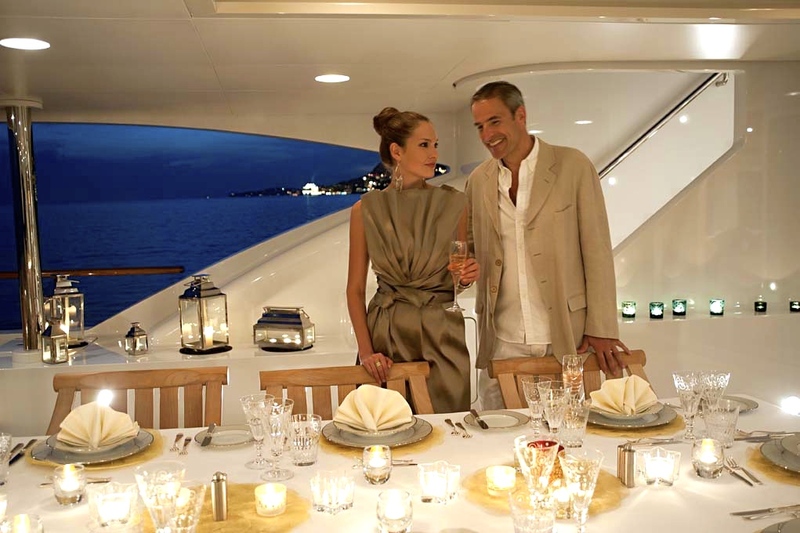 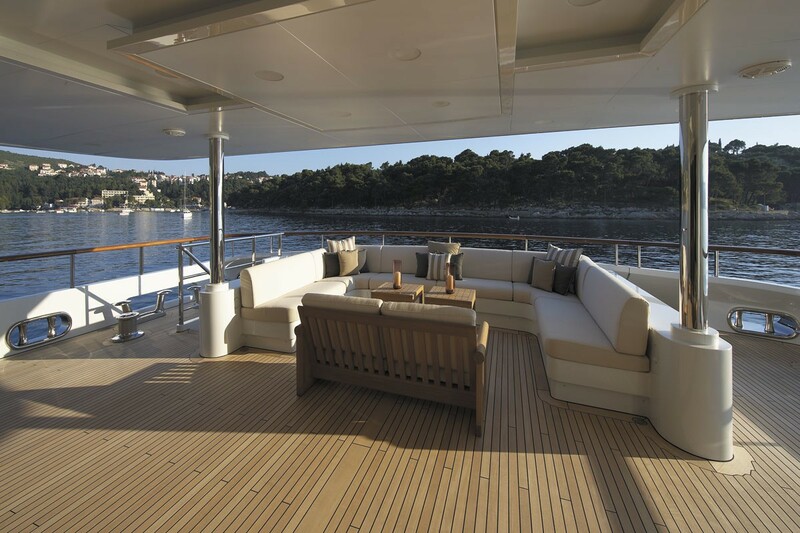 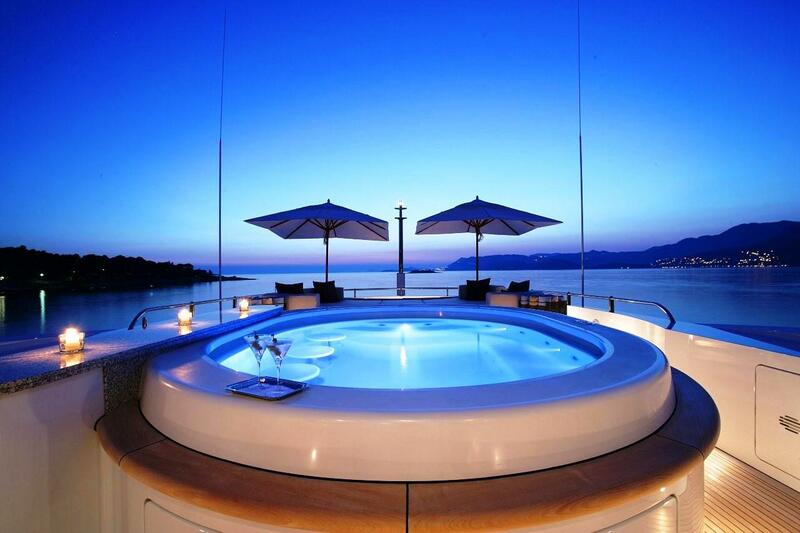 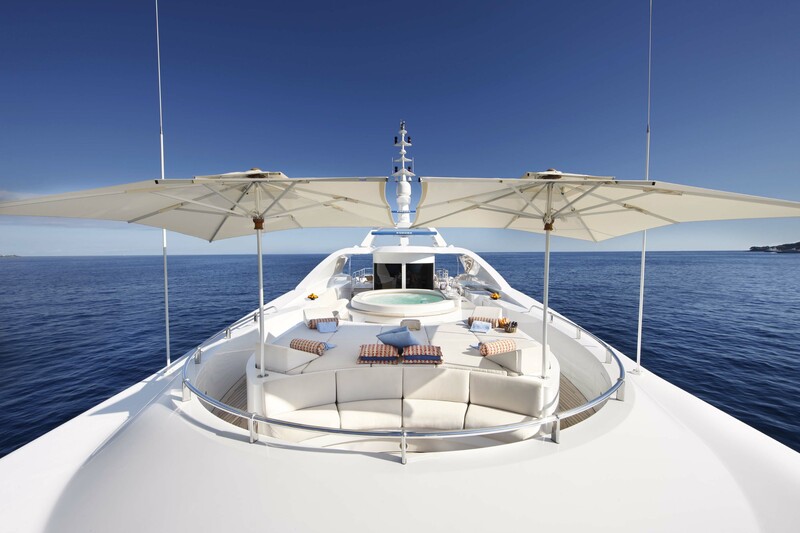 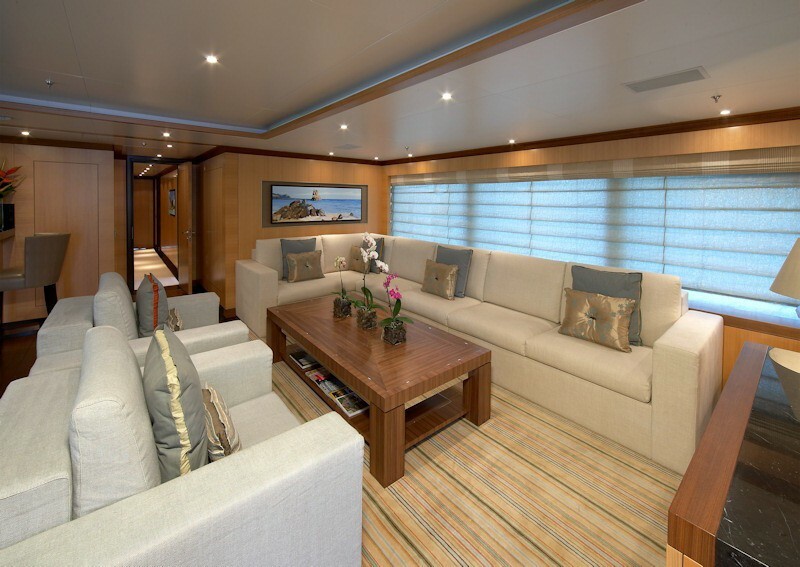 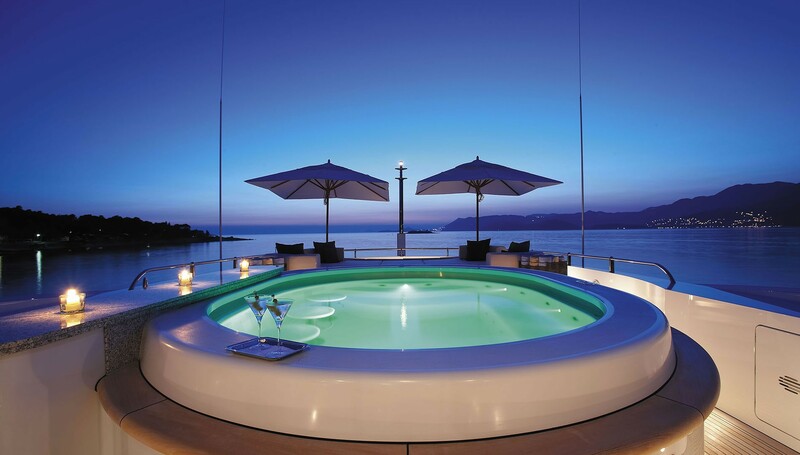 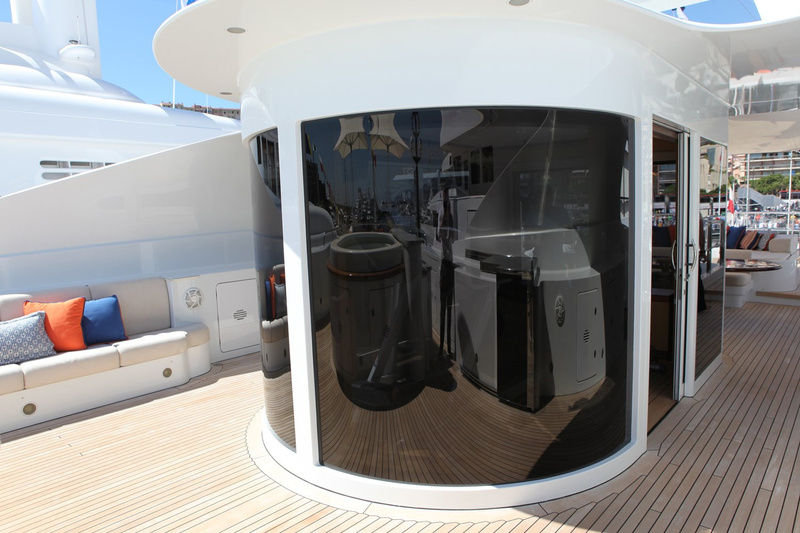 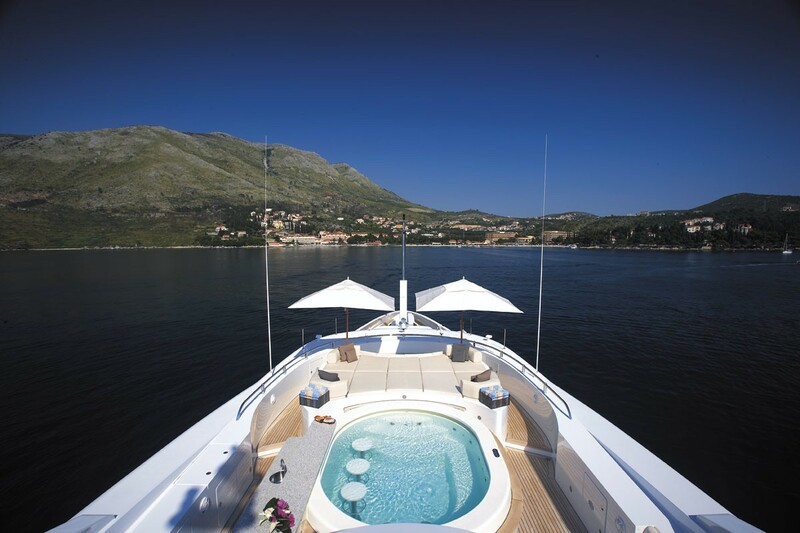 Making great use of lighting on the sundeck, the yacht also has a large Spa Pool pool and good sunbathing and relaxing areas. 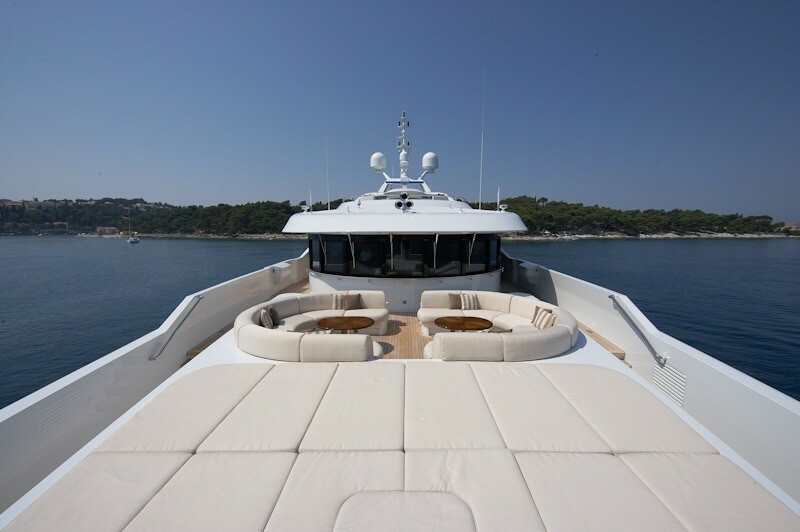 A well conceived and modern yacht, from a famous yard, she allows guests the very utmost in comfort, easy relaxation, and absolute luxury. 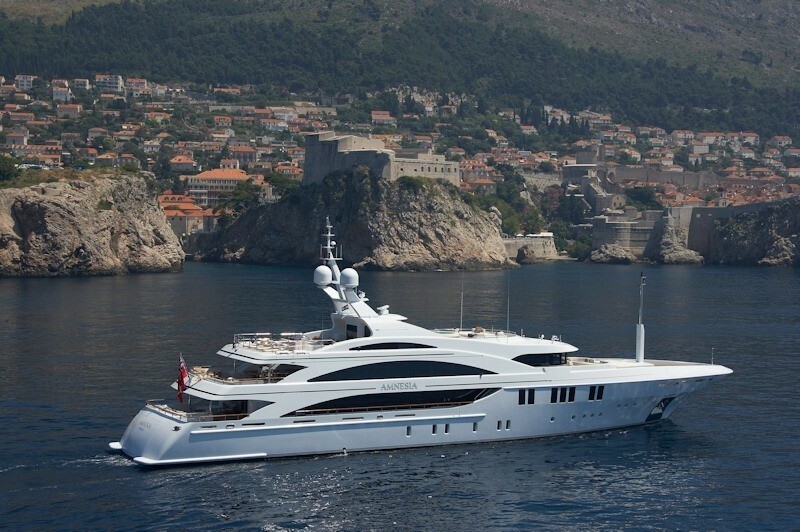 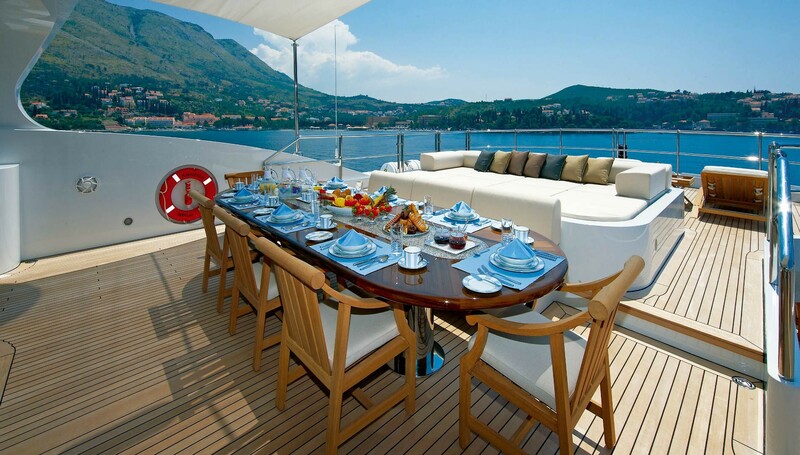 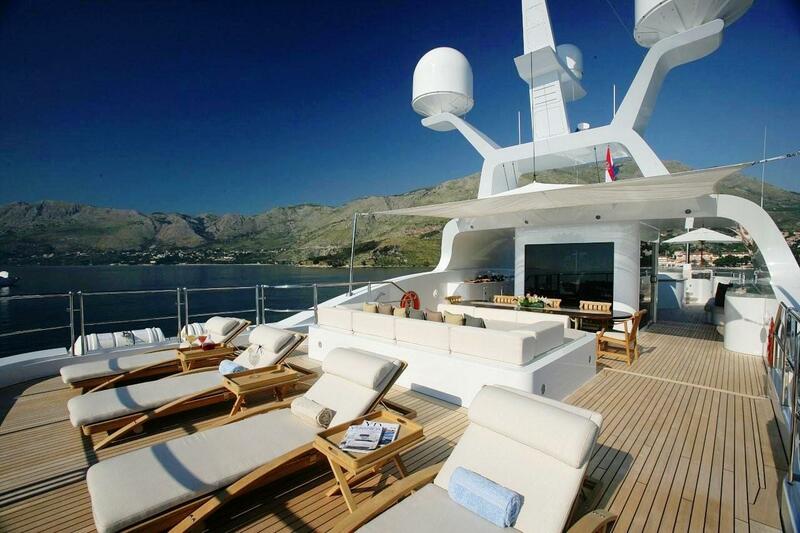 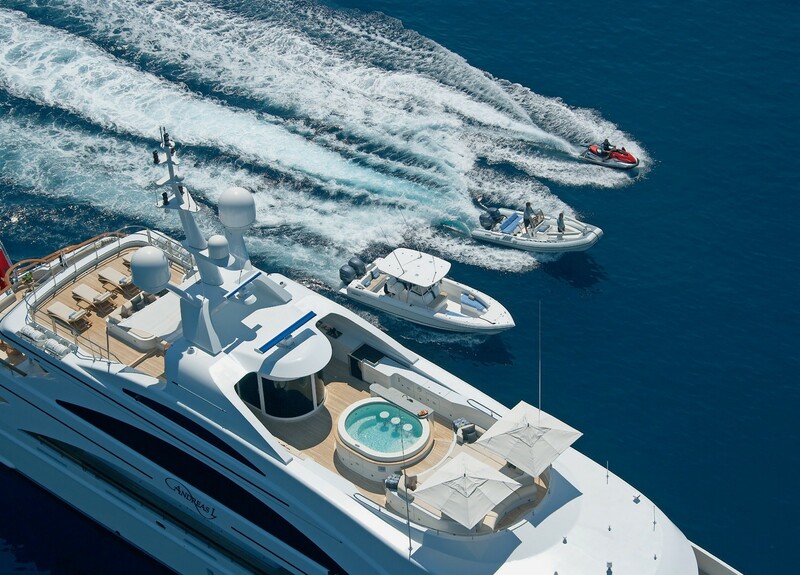 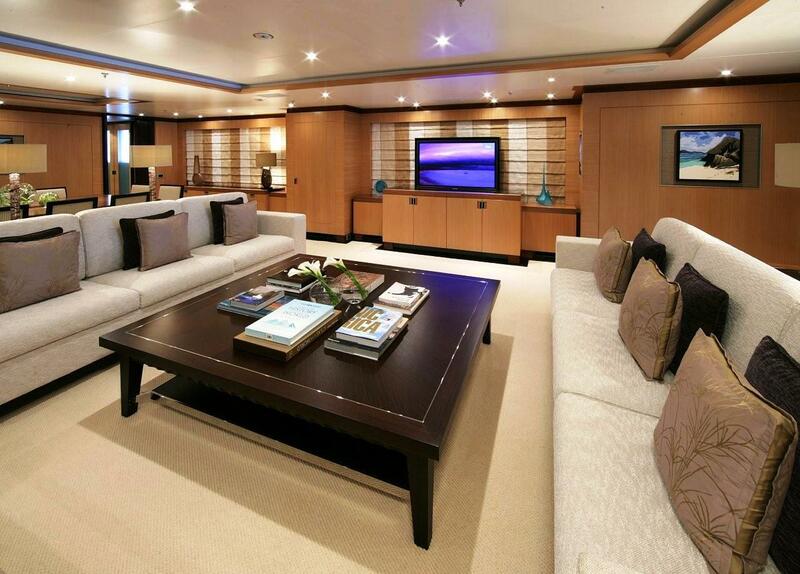 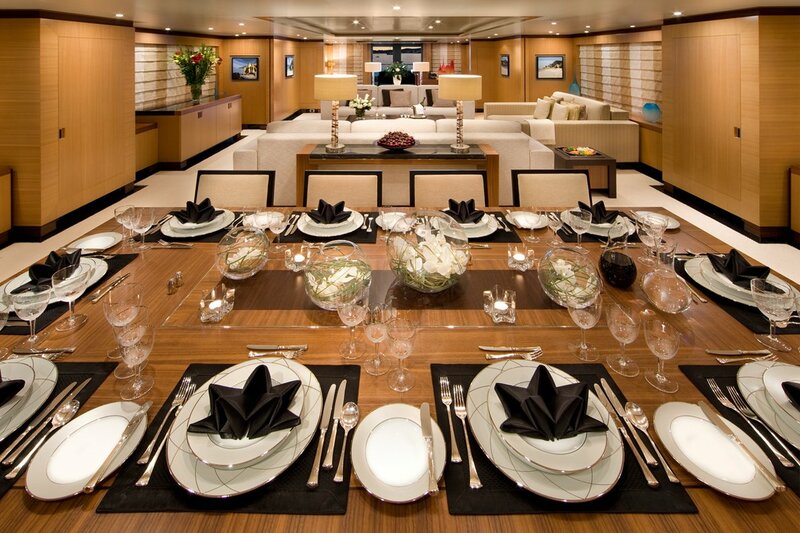 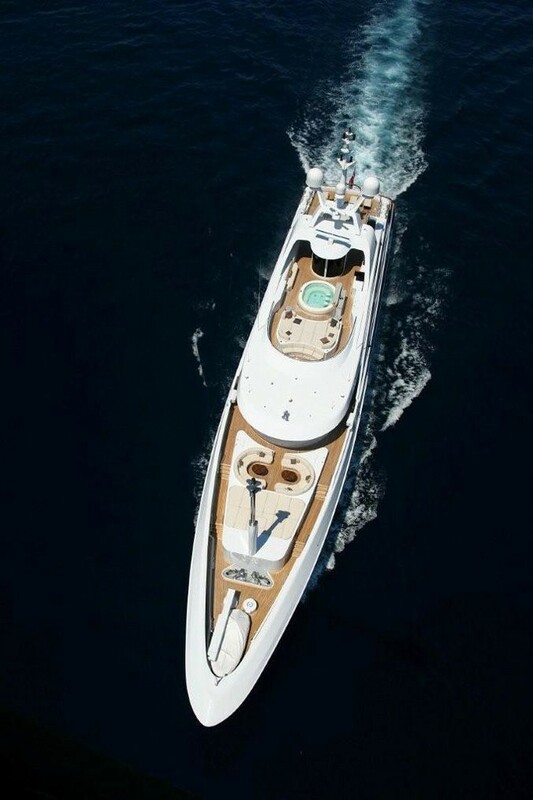 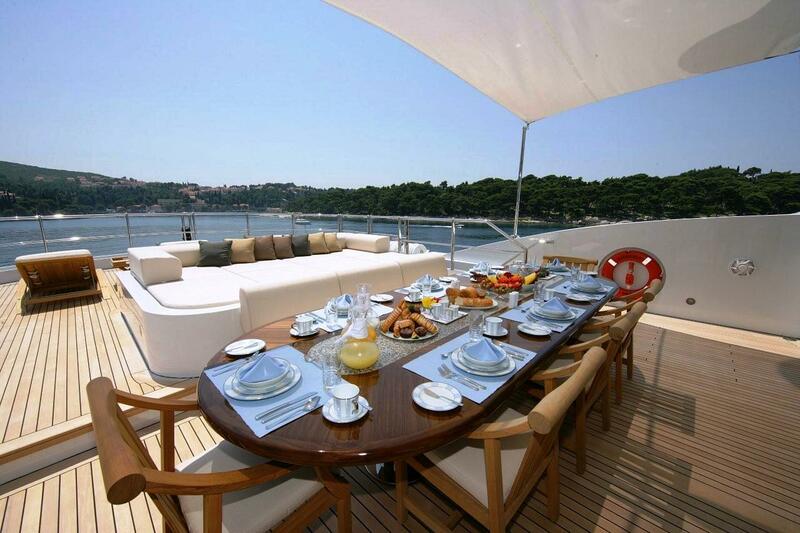 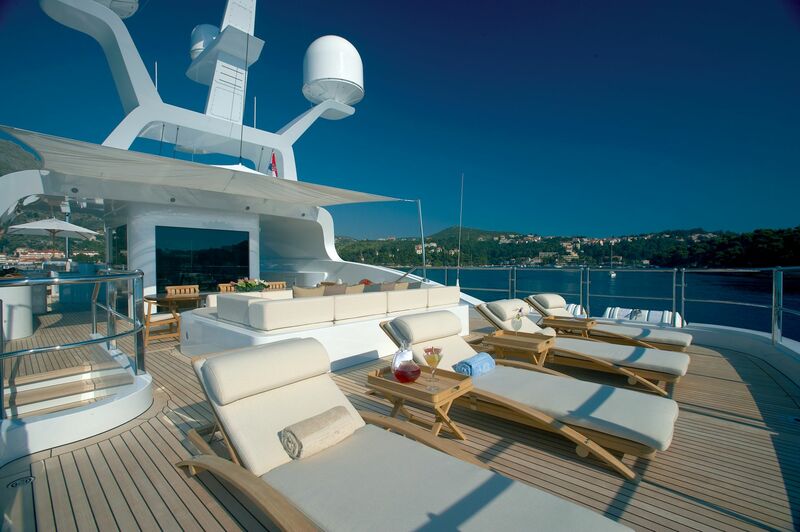 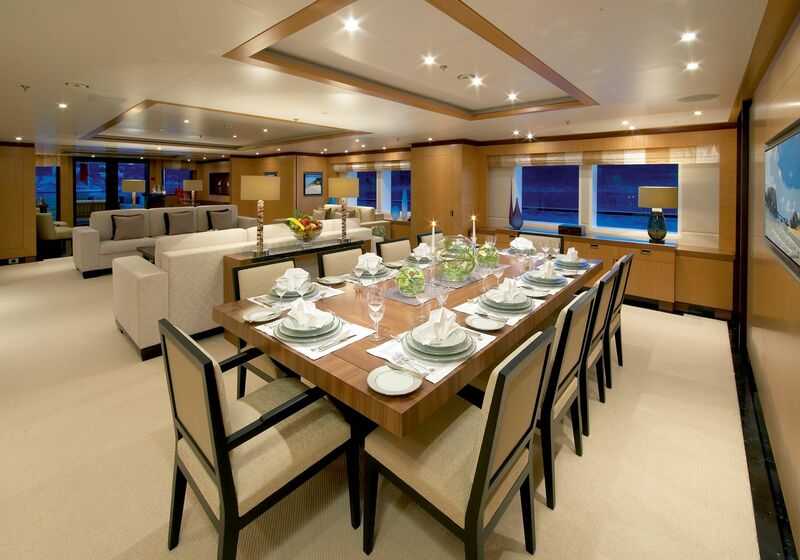 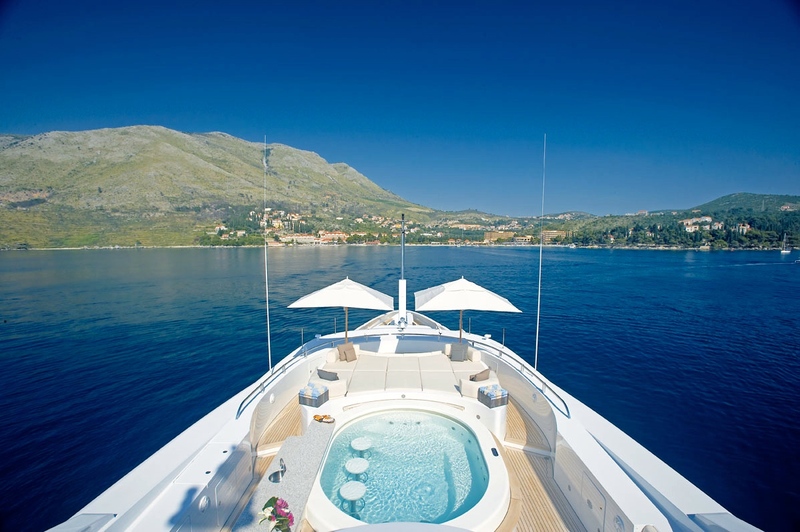 Superyacht ANDREAS L makes for an ideal charter vacation. 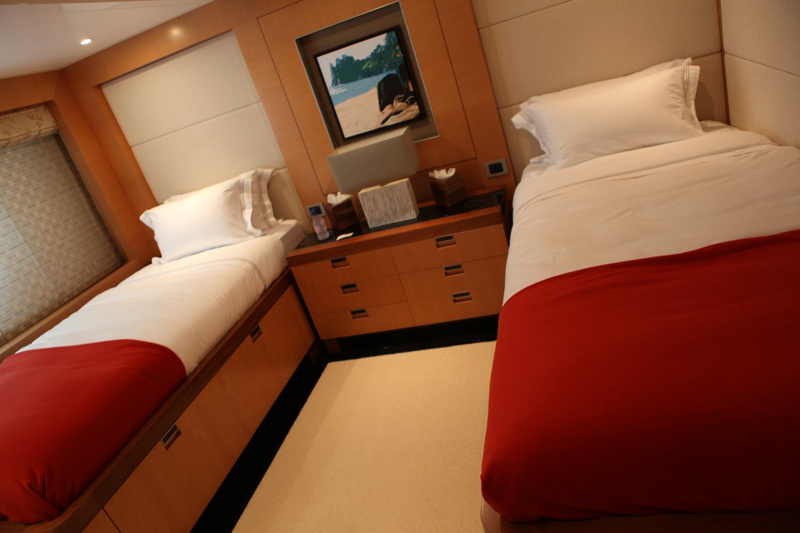 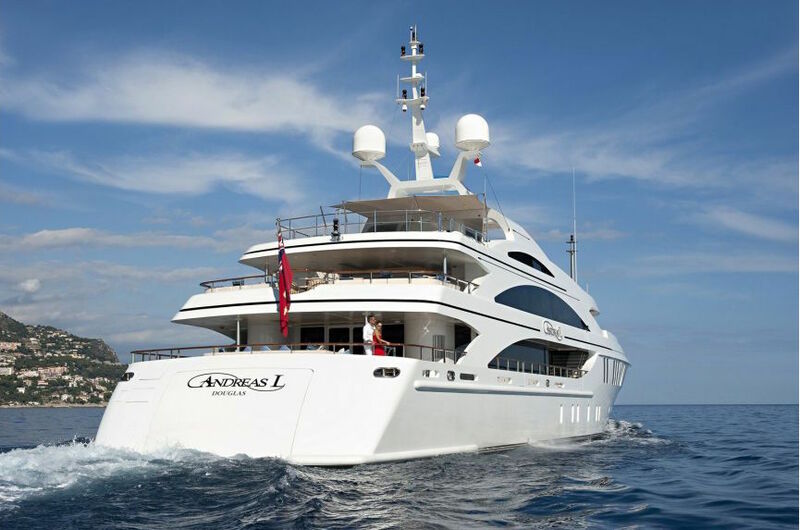 M/Y ANDREAS L (ex Amnesia) offers accommodation for up to 12 guests in 6 staterooms including a Master suite, a VIP cabin, 2 double guest cabins and 2 twin cabins. 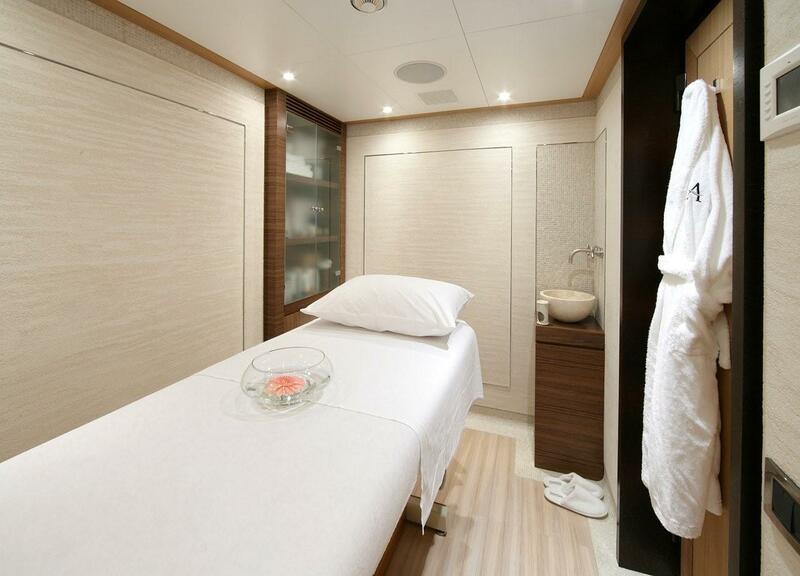 There is also a massage room on the bridge deck offers full and half body massages, facials and reflexology treatments at no charge.